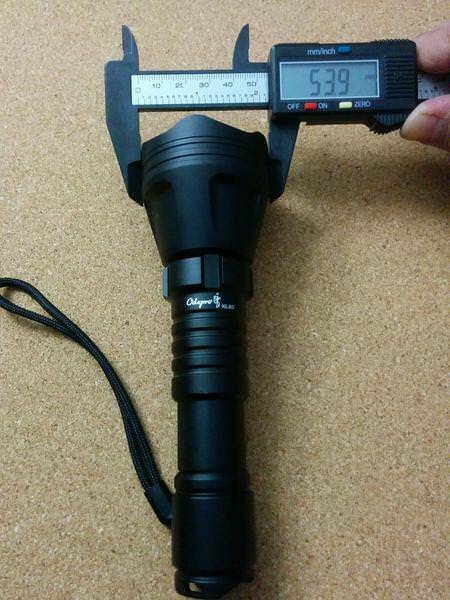 This my review of the ODEPRO KL52 PLUS flashlight. 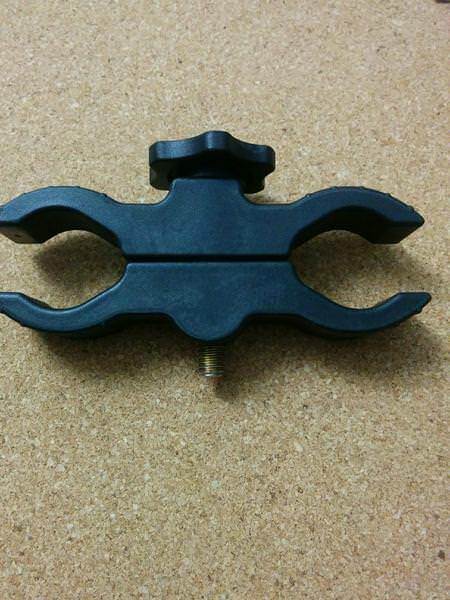 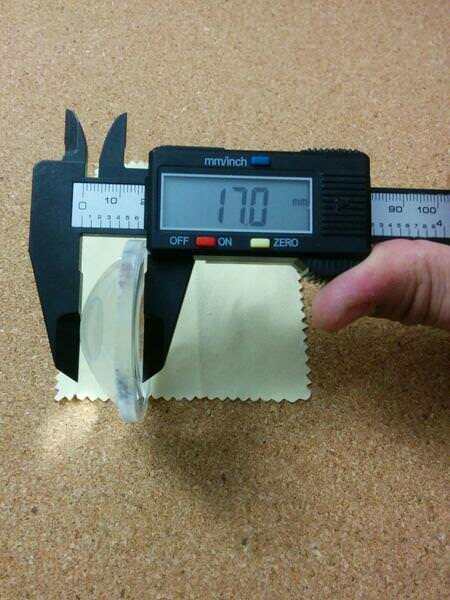 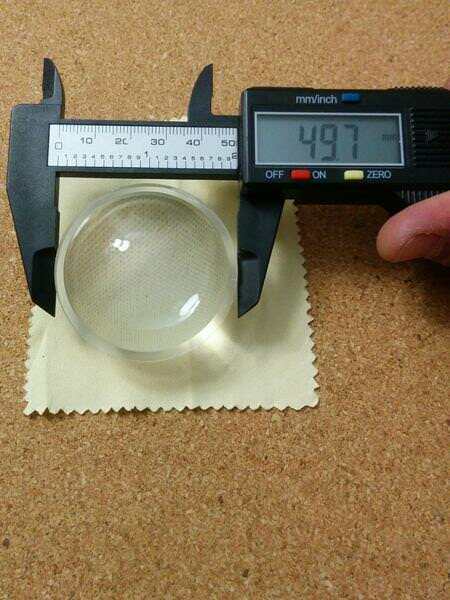 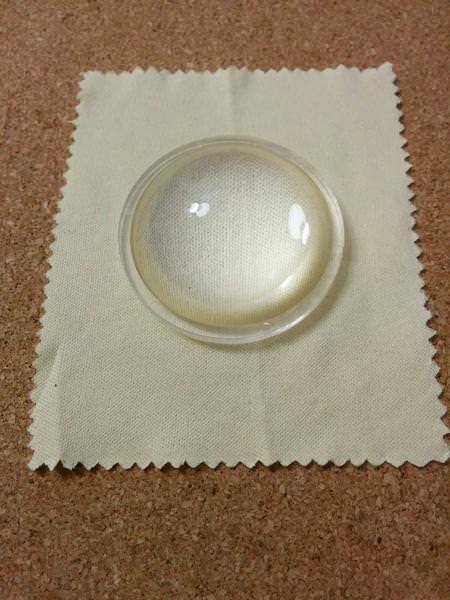 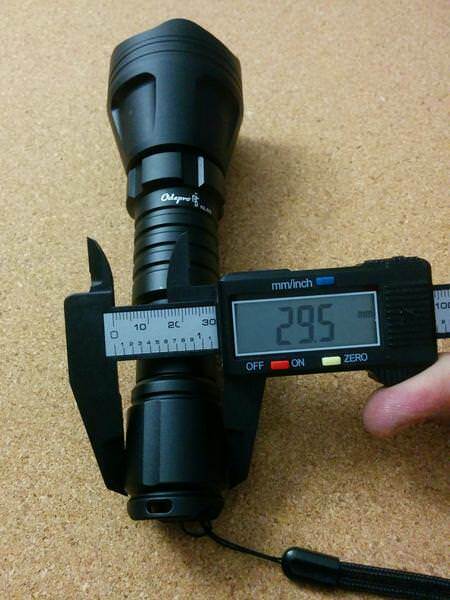 Jenna Zhang from Odepro Outdoors kindly contacted me to make this review. 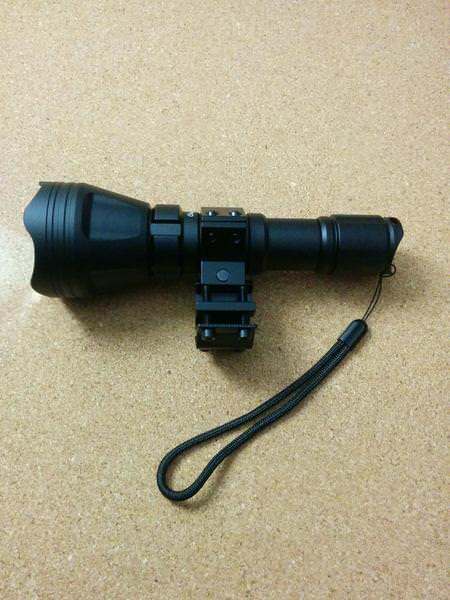 I didn’t receive any other compensation than the flashlight kit. 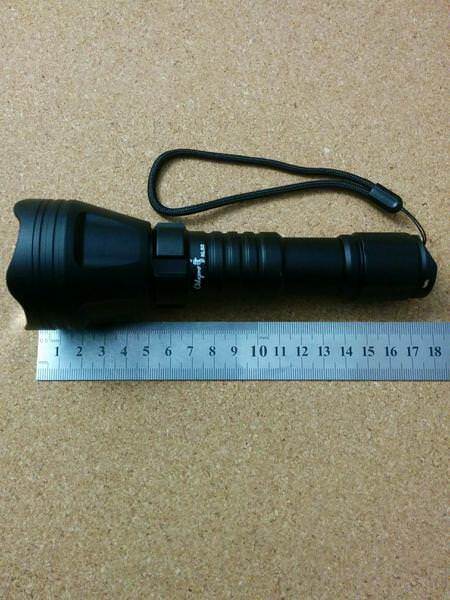 This is my first 18650 zoomable flashlight (!!!). 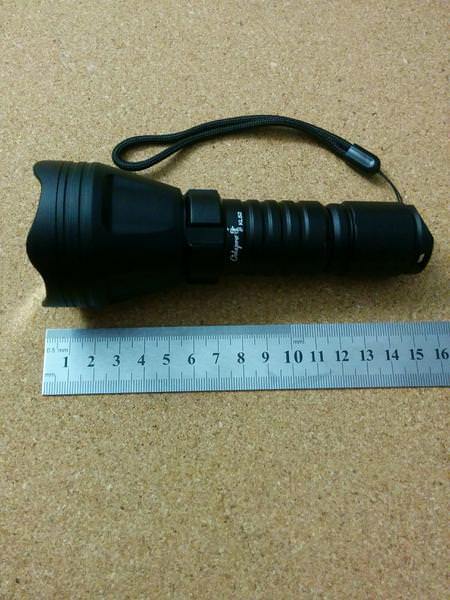 Also, it is the first “hunting” flashlight I have. 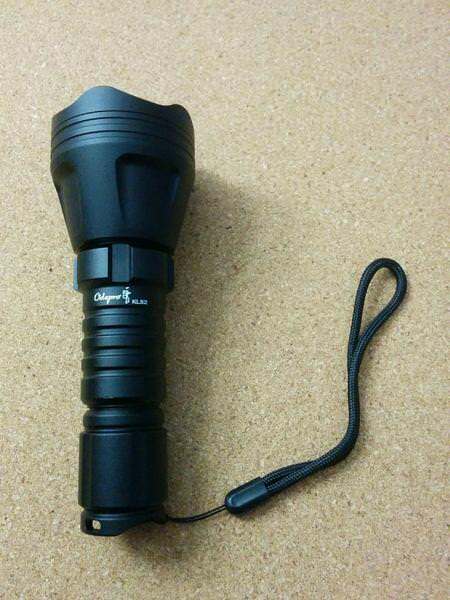 Not being a hunter, I will try to show how this flashlight works and how it is composed, in a unbiased and honest review. 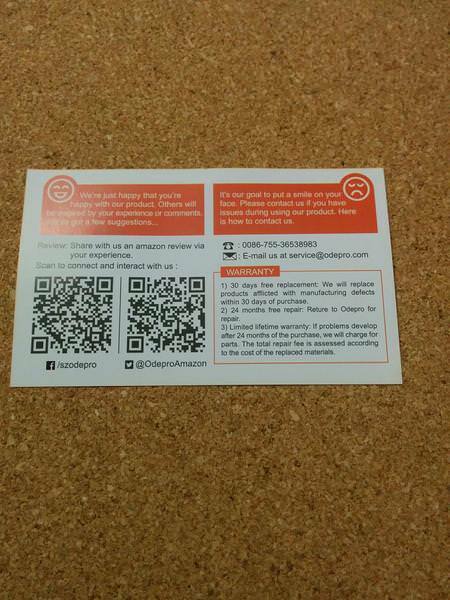 Other information will be posted in the following “sections”. 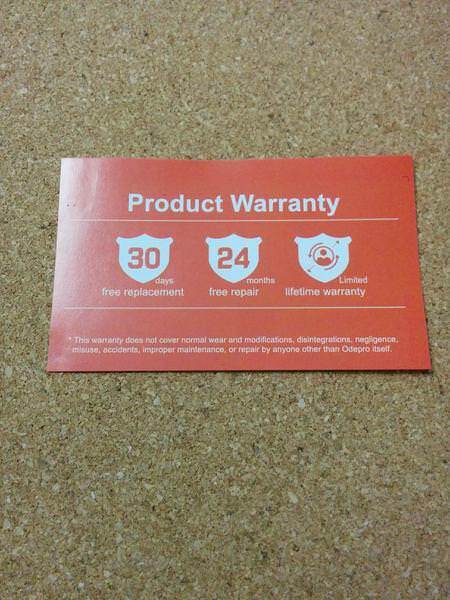 *Limited Lifetime warranty: charge for replacement of damaged parts after 24 months upon the purchase. 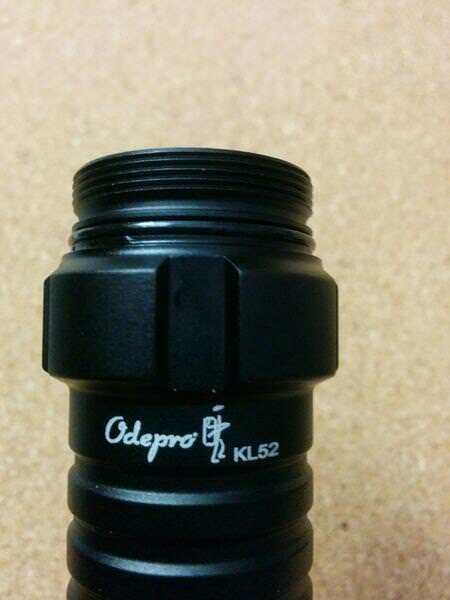 The ODEPRO KL52 has a forward switch. 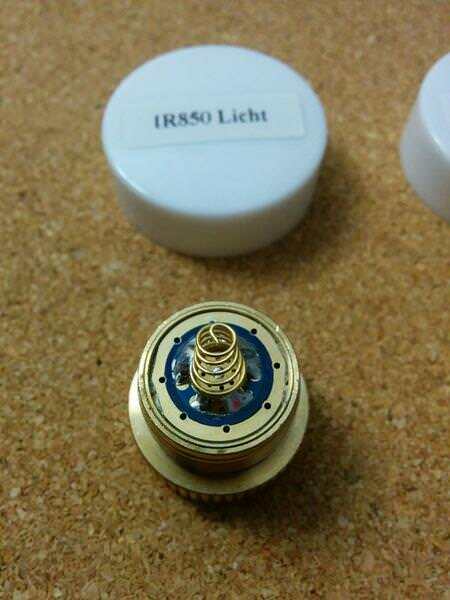 All LED modules can be operated perfectly with it. 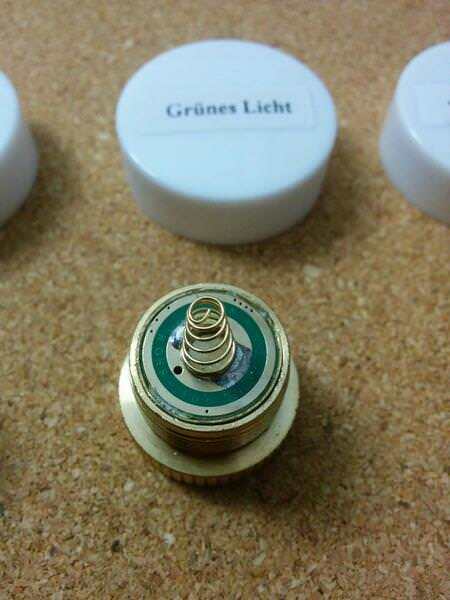 *Half press = Momentary ON (in all LED modules) and allows to cycle through all the modes (on white light). 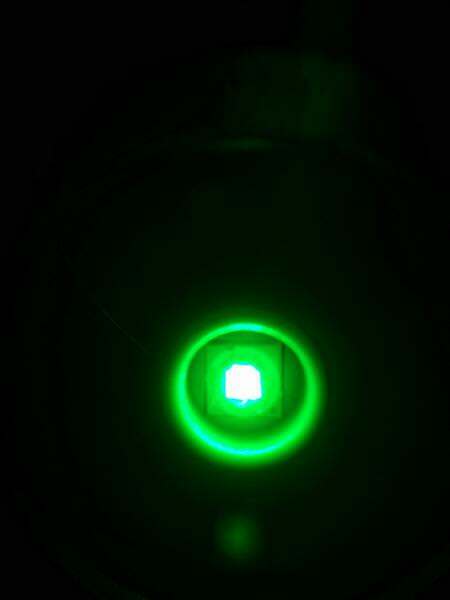 *Full press = enters the last used mode, or locks the chosen mode after the half press. 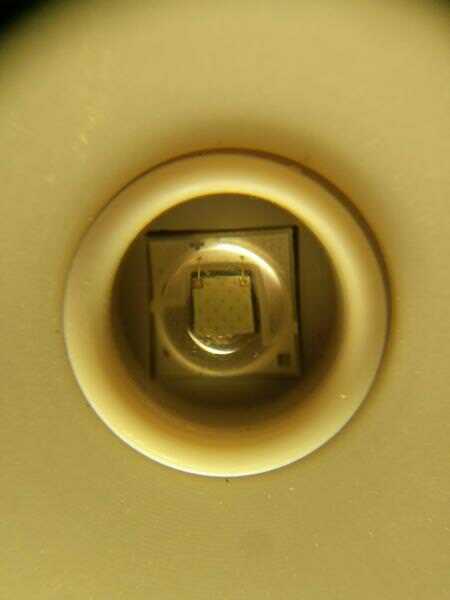 Quick full presses will advance the modes, though. 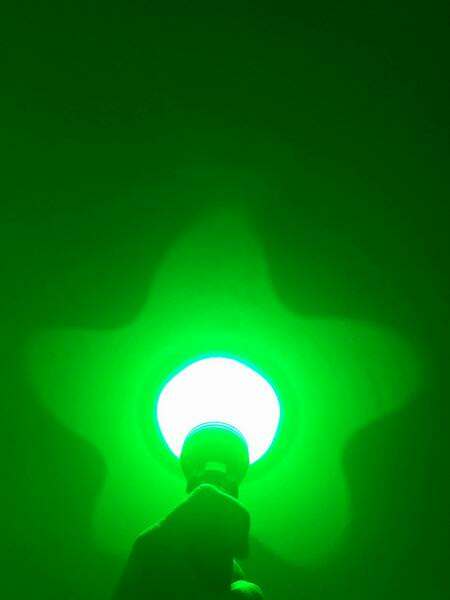 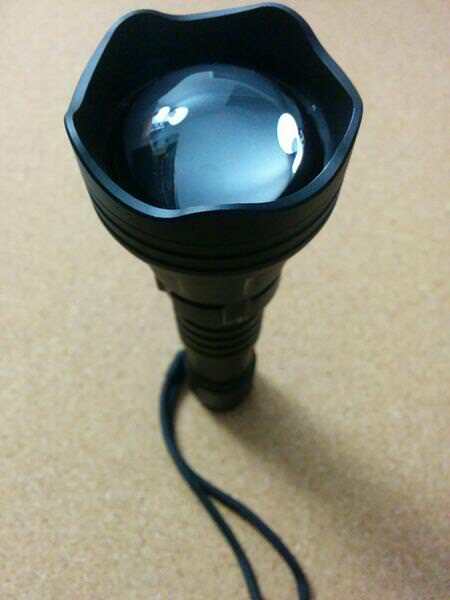 It has 5 modes (L > M > H > Strobe > SOS) with memory (even for strobe and SOS), so the light will turn ON in the last used mode if it has been used for more than 3 seconds. 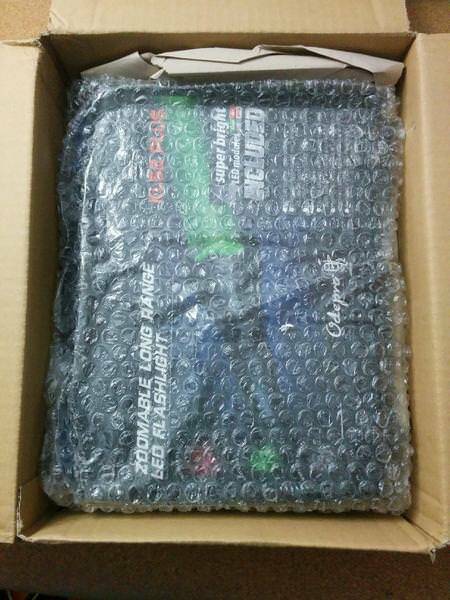 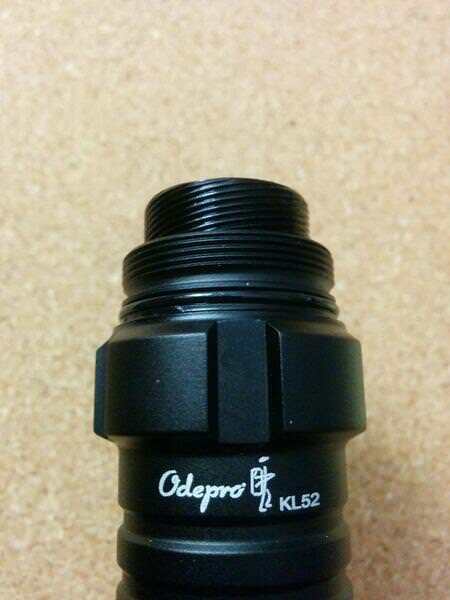 Well packed, the ODEPRO KL52 PLUS Kit arrived inside a cardboard box. 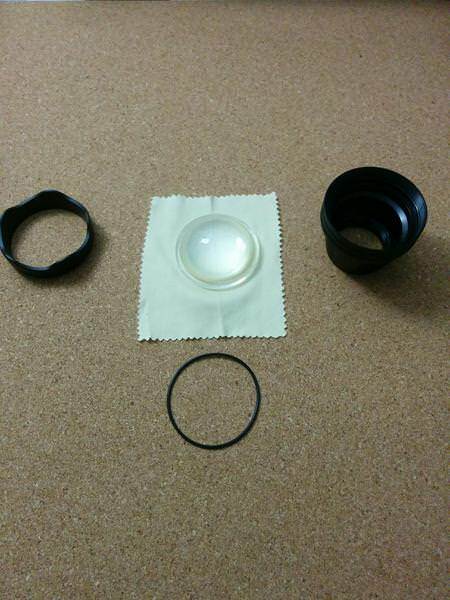 Inside, the Kit was wrapped in bubble plastic, all well protectd. 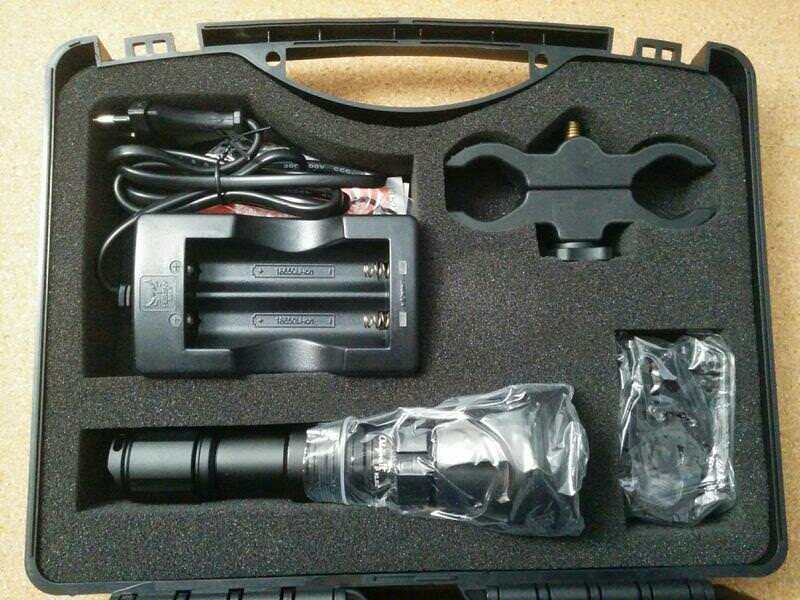 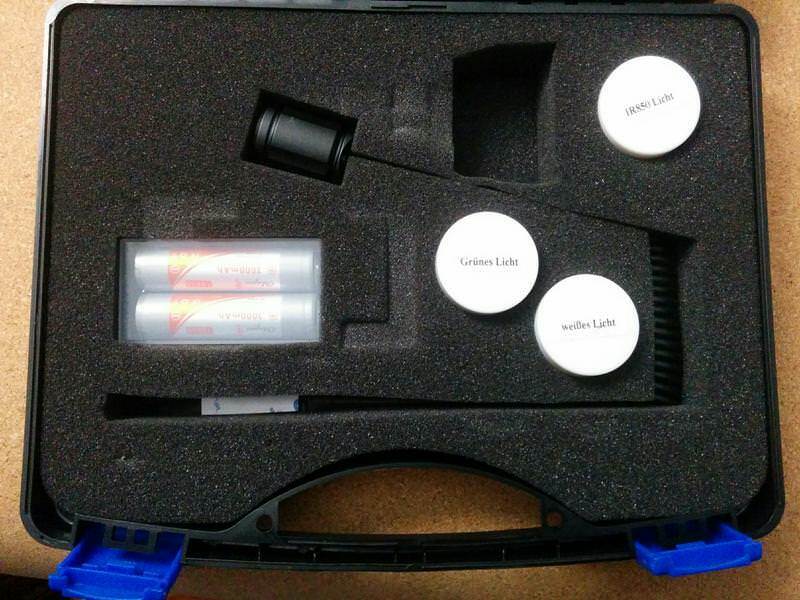 The Kit box is really nice, filled with foam, cut appropriately to let the flashlight and accessories fit correctly. 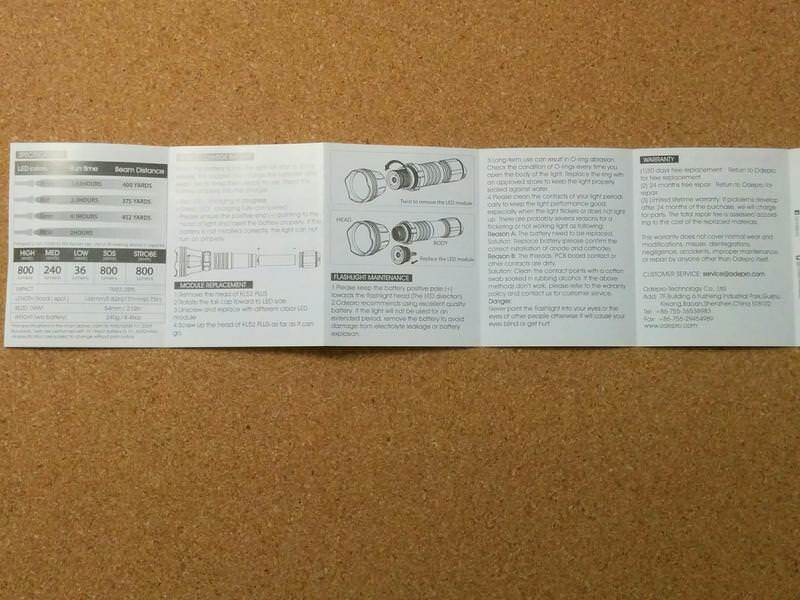 It is composed by 2 parts. 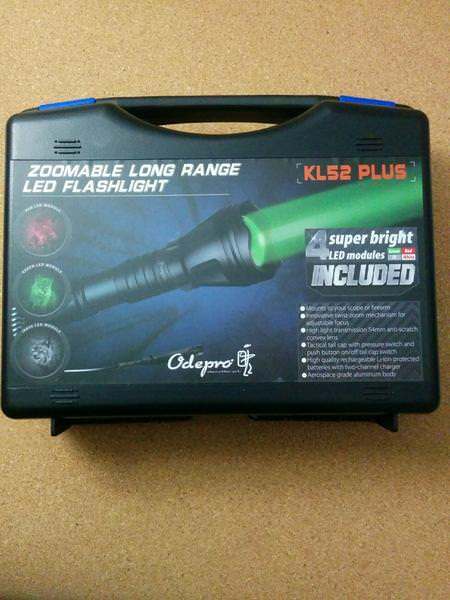 The ODEPRO KL52 Kit box is very complete and plenty of accessories so that the users/buyers have the necessary tools to use the flashlight! 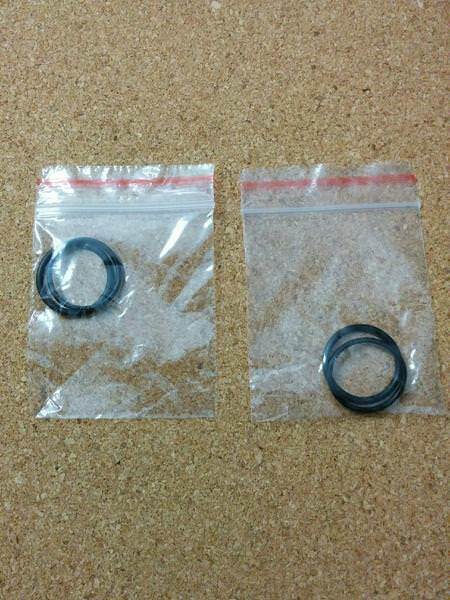 4 thick o-rings (I already used 1 of the spare as I damaged 1 original…). 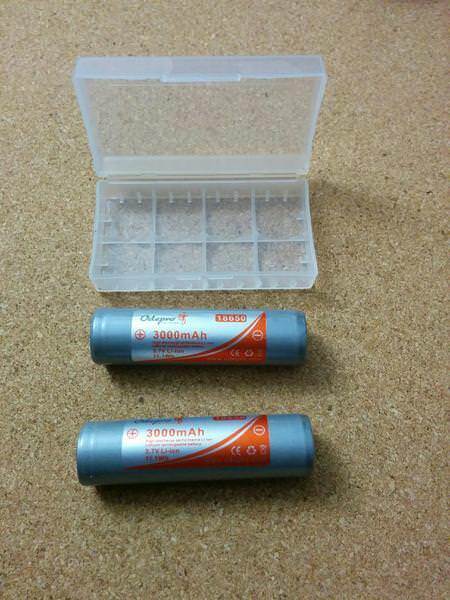 2 protected 18650 Li-Ion batteries, probably rewrapped, with button top. 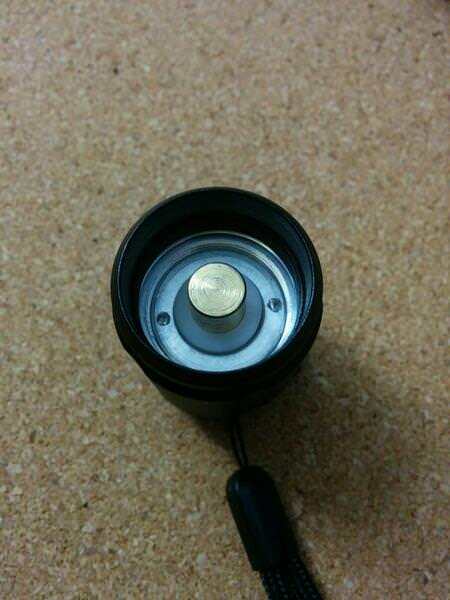 Didn’t make any charge / discharge test to see how they perform. 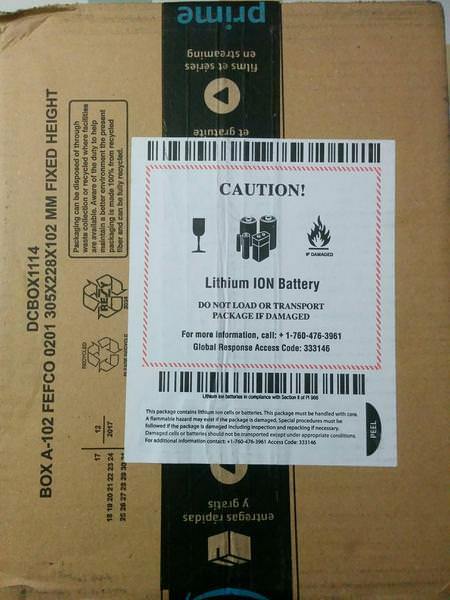 They are marked as 3000mAh and 11.1Wh. 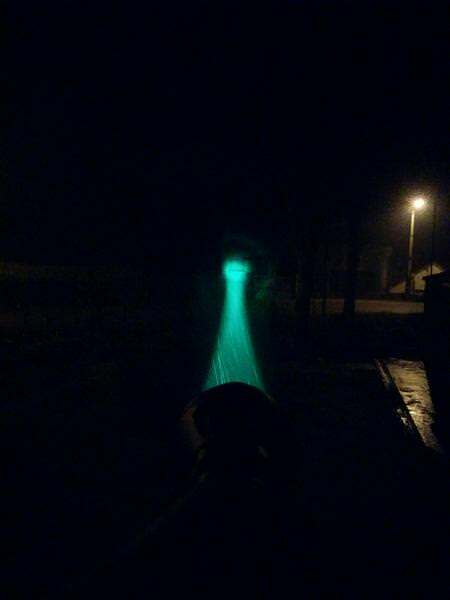 Just tested it when I received the flashlight, as I won’t probably use it (at least not in a riffle). 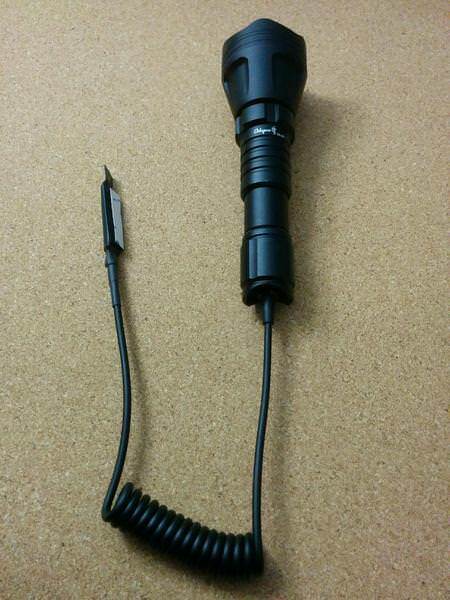 Works pretty well. 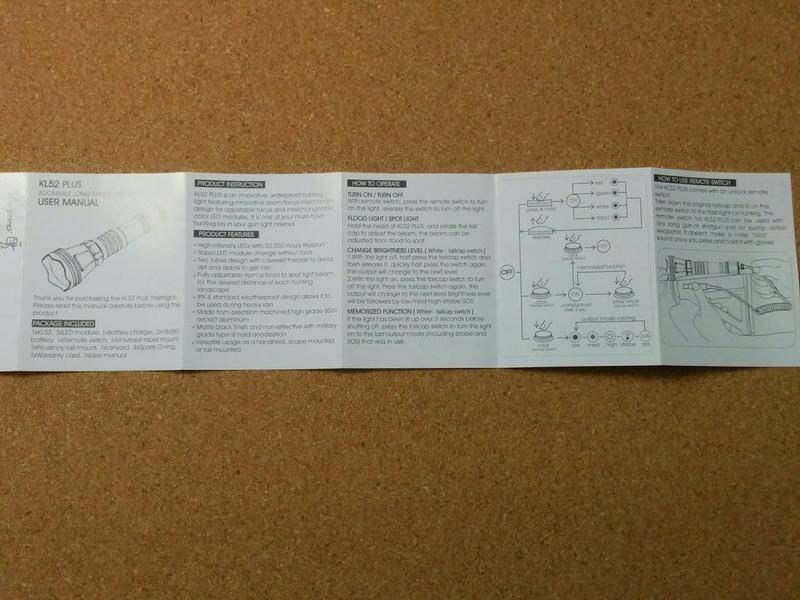 It is pressed and held to switch ON and to keep it ON. 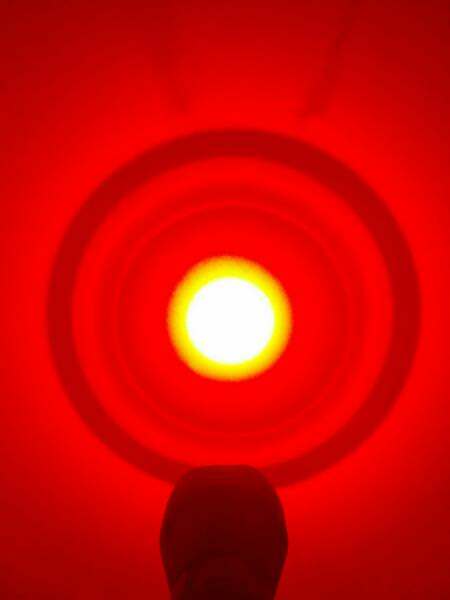 To switch OFF, the pressure must be released. 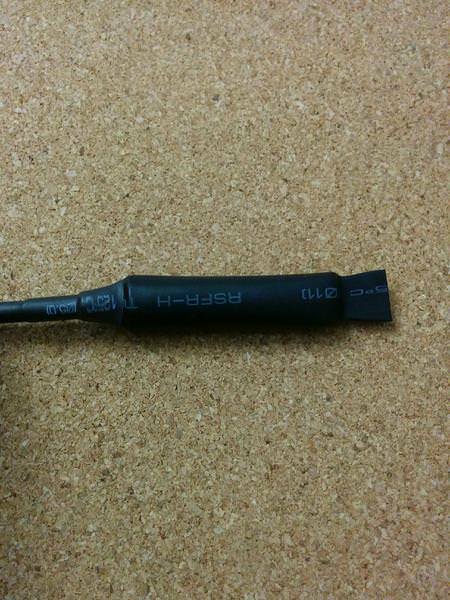 The cable extends to approximately 1 meter. 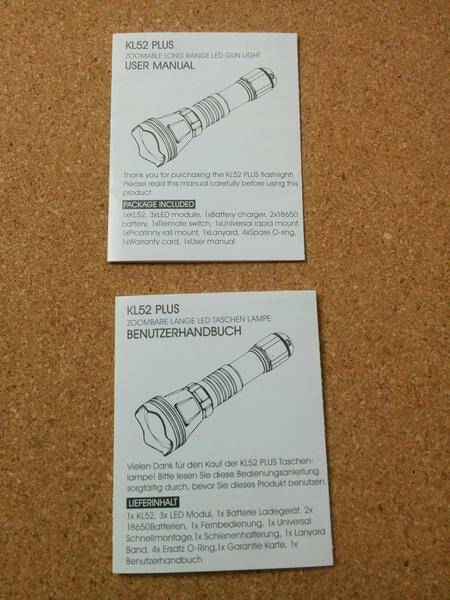 There are 2 user manuals, 1 in English (in the photo) and another one in Deutsch. 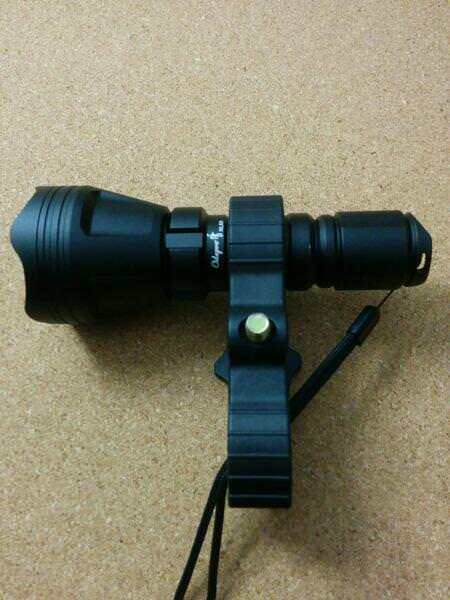 It is really well written and explains thoroughly how to use the flashlight, how to maintain it and the general specifications. 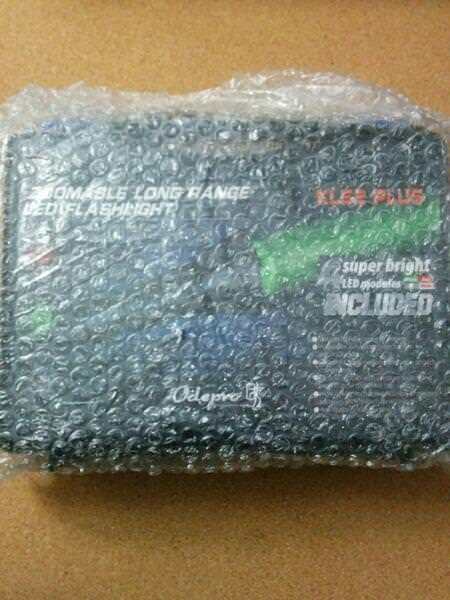 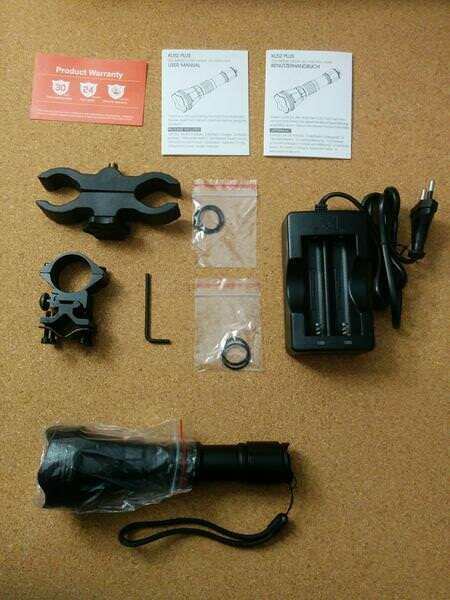 Topics addressed: Package included, Product Instruction, Product features, How to operate, How to use remote switch, Specifications, How to charge battery, Module replacement, Flashlight Maintenance, Warranty. 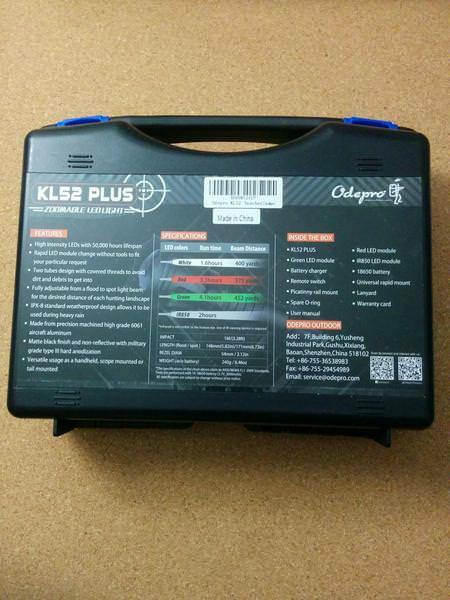 I didn’t use the charger that arrived in the ODEPRO KL52 Kit. 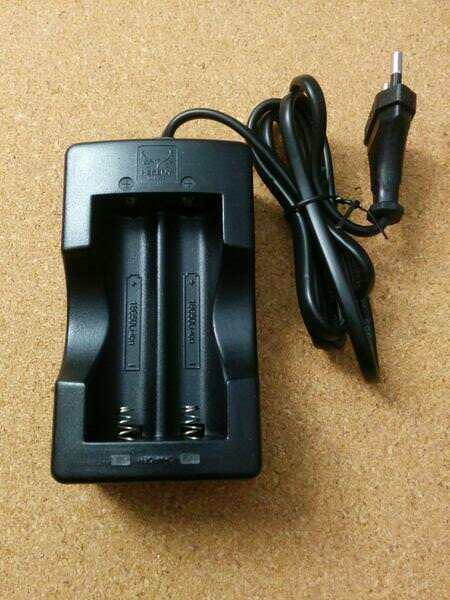 It is a double battery charger, with no indication of charging level apart from a RED and GREEN light that indicates the charged level. 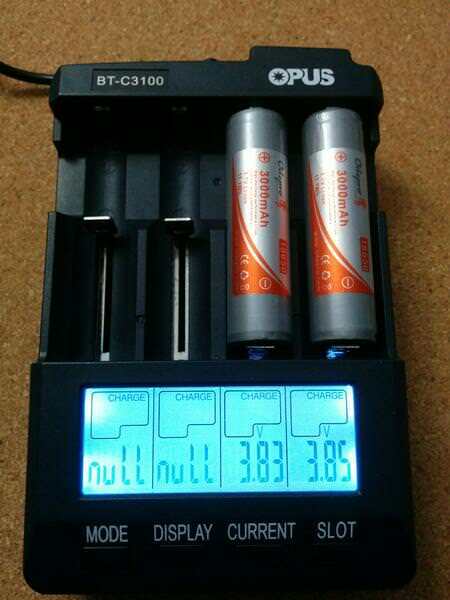 Later I may try to perceive how does the charging process occur, letting you know numbers. 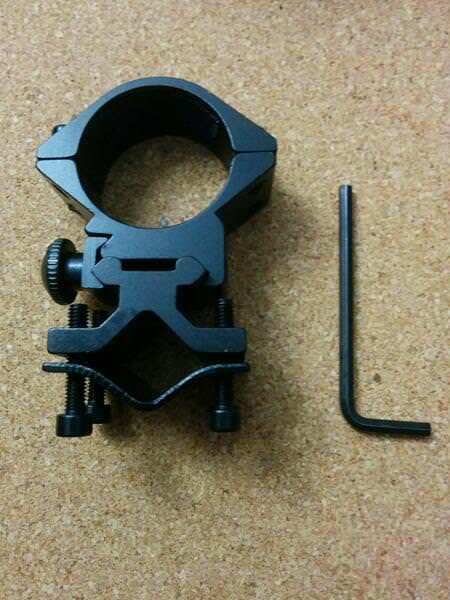 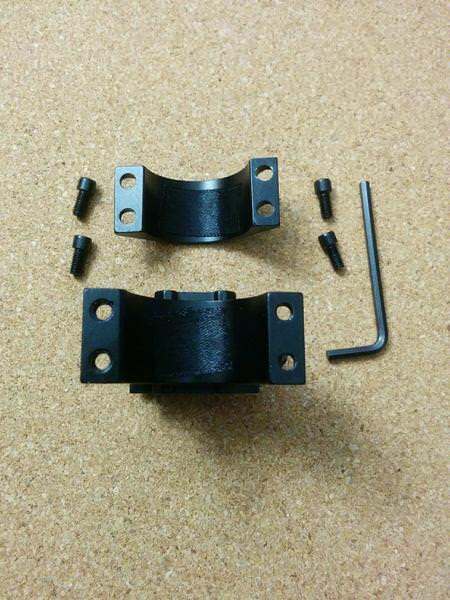 The Kit included 2 different mounts, one more appropriate for riffles and the other for bikes or other purposes. 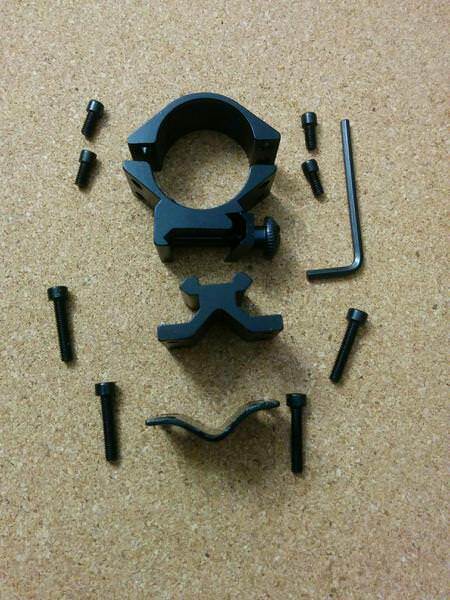 Includes a hex screw key with which one can (dis)assemble the mount. 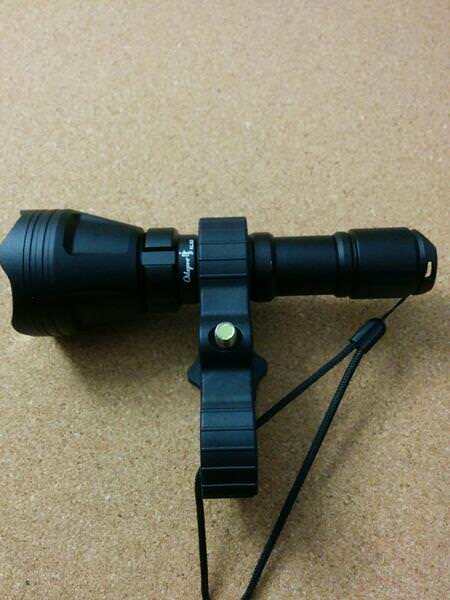 It has a tight fit when the flashlight is mounted, and it will probably work well on a riffle. 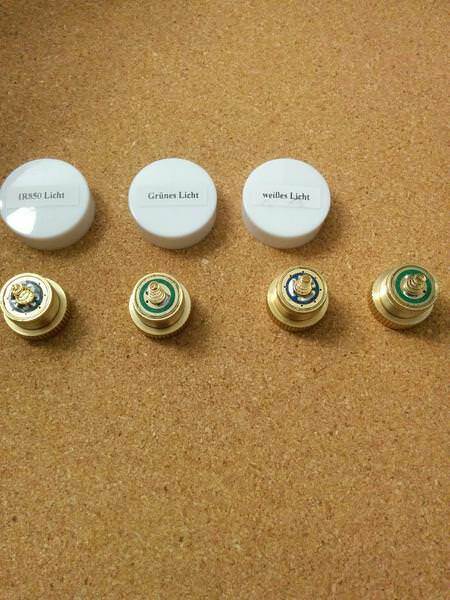 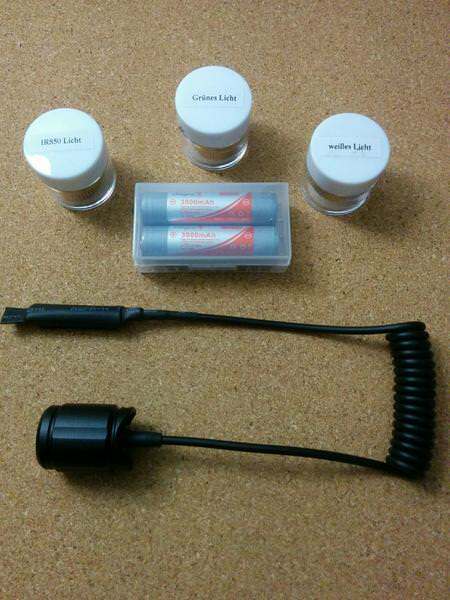 The flashlight Kit arrived with 4 interchangeable led modules. 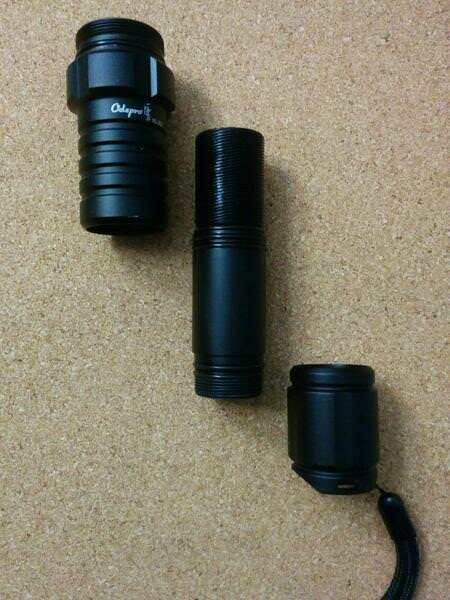 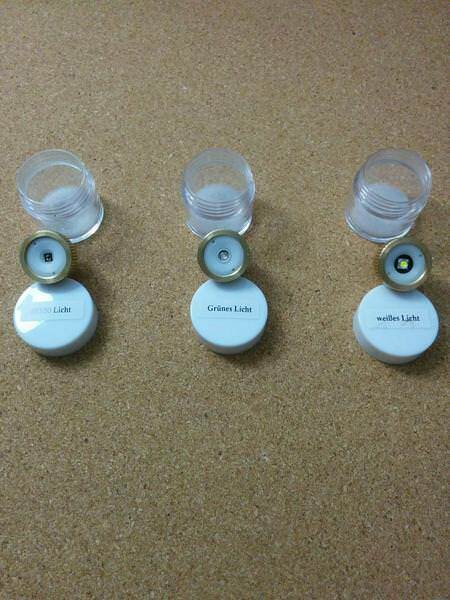 The “white light” was already assembled in the flashlight while the others were protected inside plastic boxes. 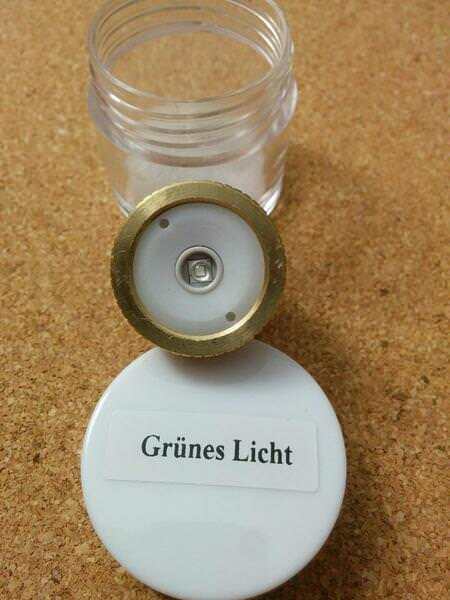 The caps have the indication of the light colour written in Deutsch. 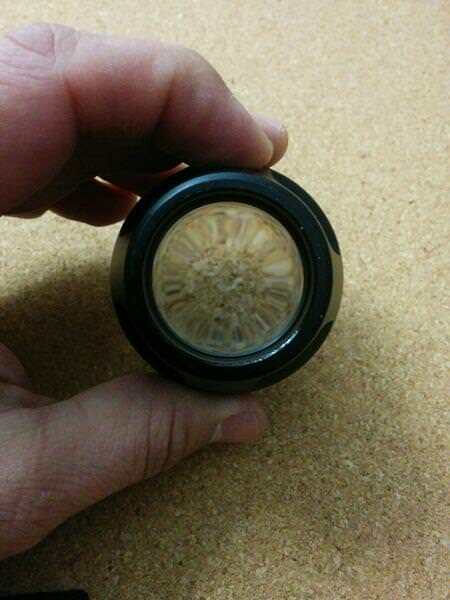 The pill is thick and the drivers seem to be held by some retaining ring. 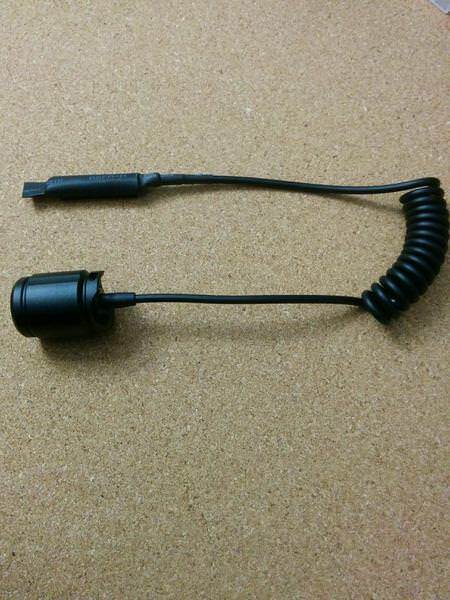 However I didn’t disassembled it so I can’t be sure. 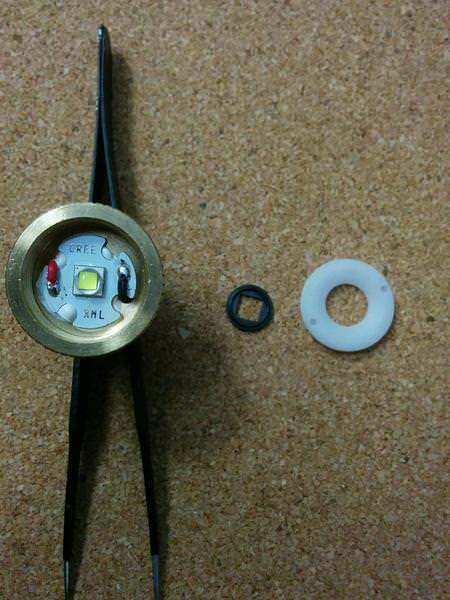 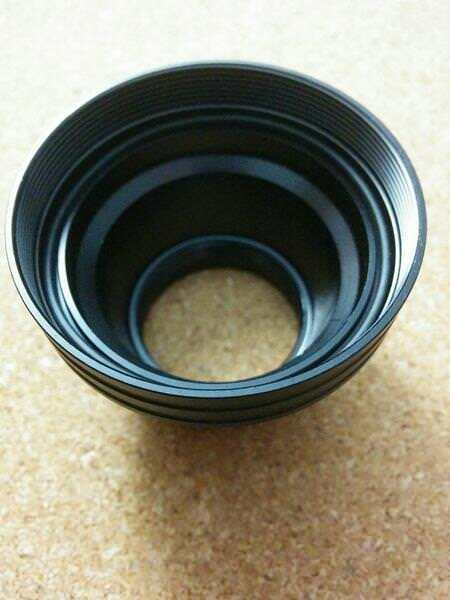 The emitters have a protecting white plastic ring above a black gasket. 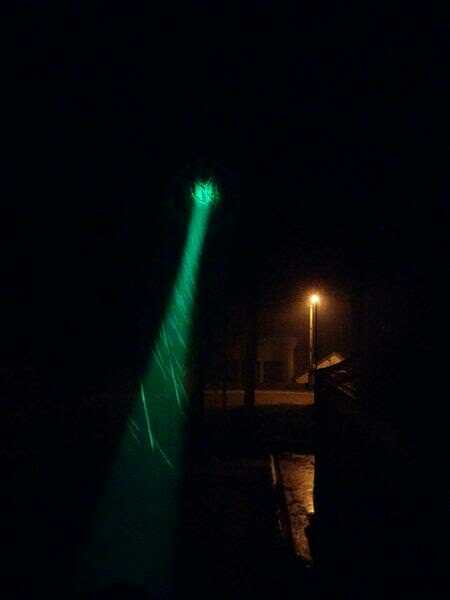 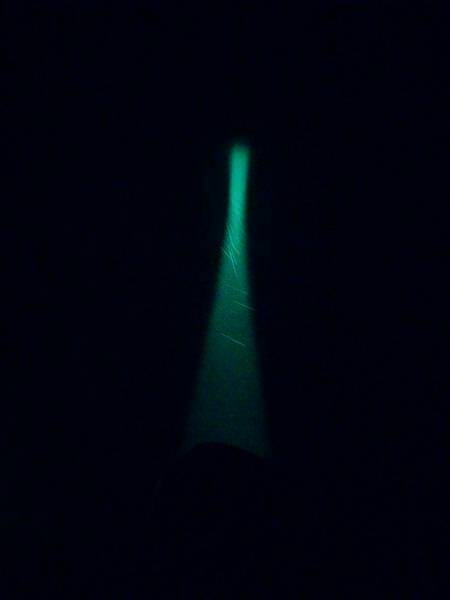 There was a bit of dirt in some of them and the GREEN led has a small scratch but it doesn’t influence the beam. 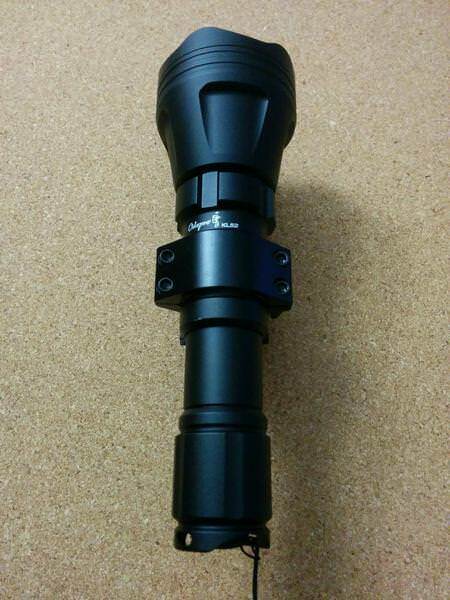 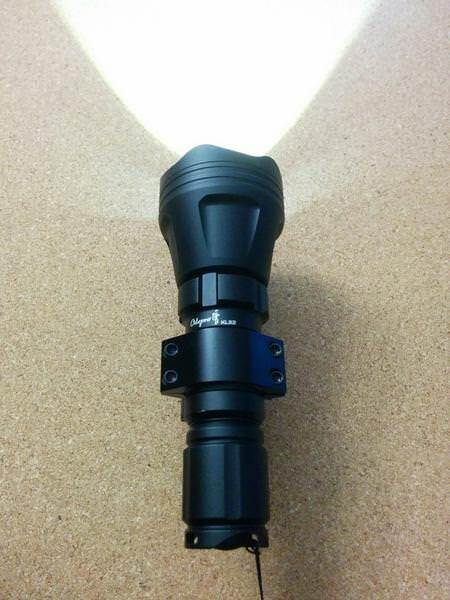 The Odepro KL52 PLUS is a well built flashlight. 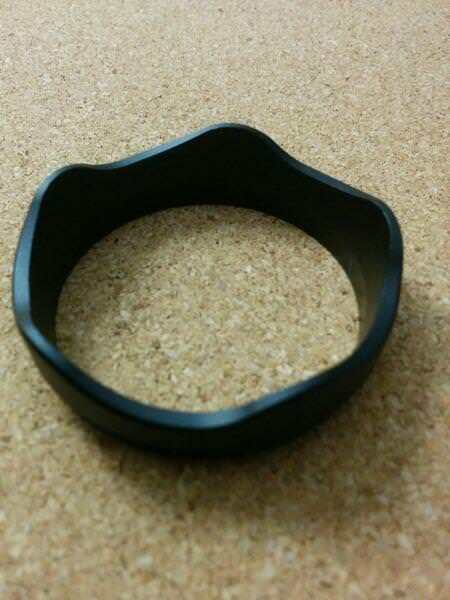 The matte finishing feels great on the hand and the “roundish” shapes all over it allow are quite nice. 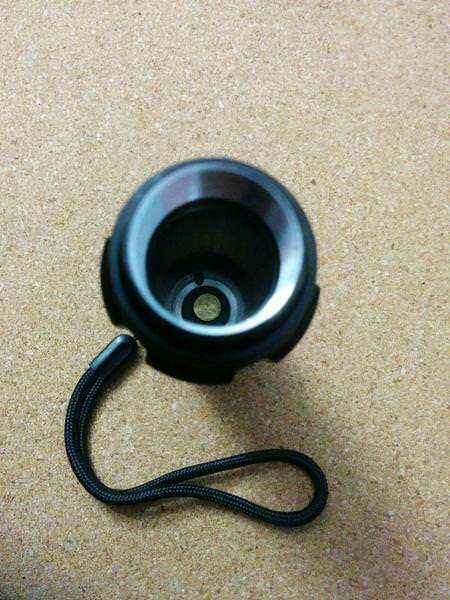 The Zoom In/ Zoom Out functions work by rotating the inner side of the tube, while pulling/pushing and twisting the tailcap and holding the head. 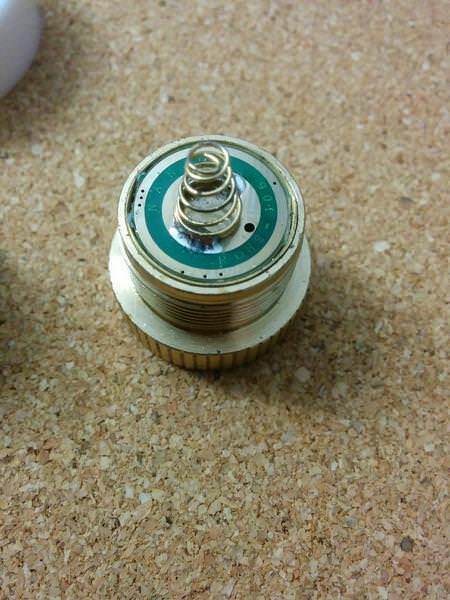 One thing I miss here, when twisting the tube, is a “cigar” ring that would help to a better rotation, as sometimes I unscrewed the tailcap on the process. 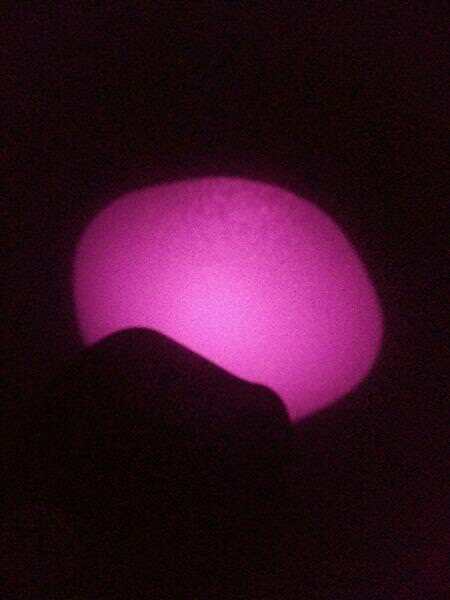 Other than this, it has a great feeling on the hands. 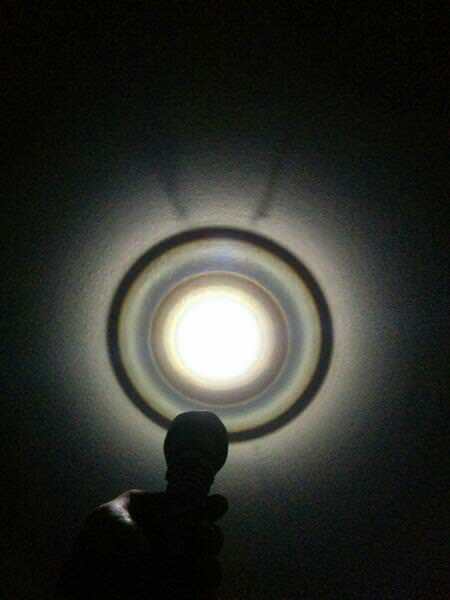 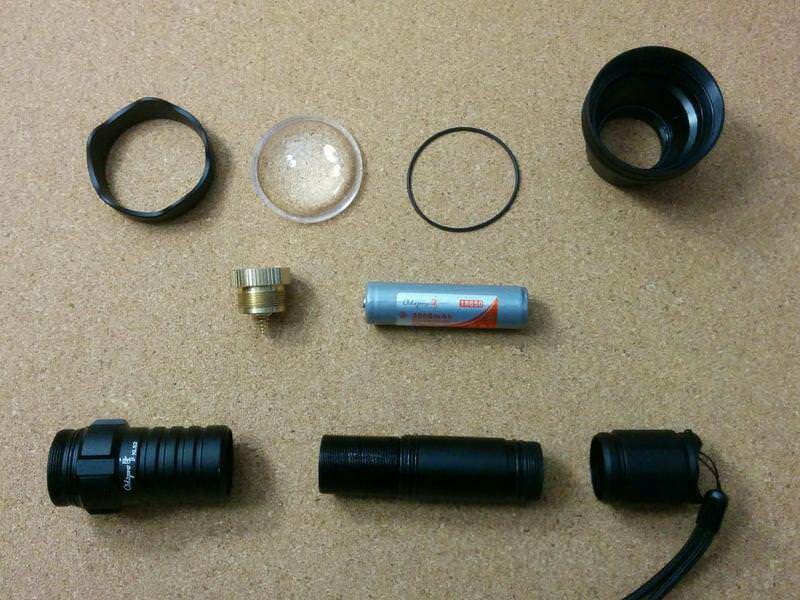 The tubes have several o-rings and are well lubricated all over the flashlight. 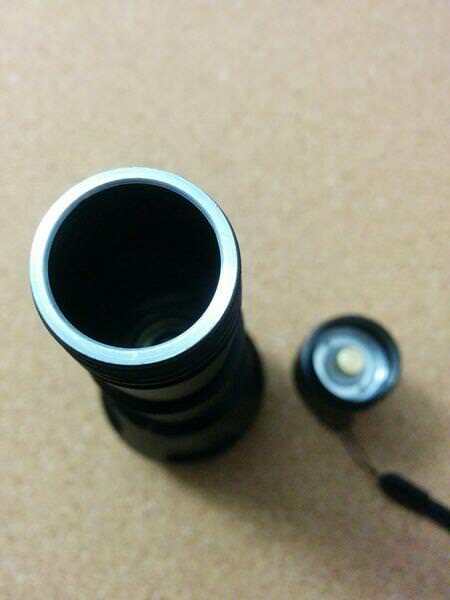 The down edge of the tube is non-anodized and it allows physical lockout. 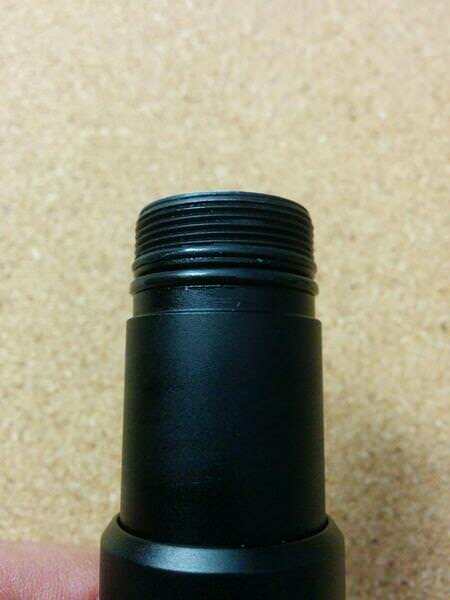 The tubes are well machined, and when zooming they slide well with no disturbance. 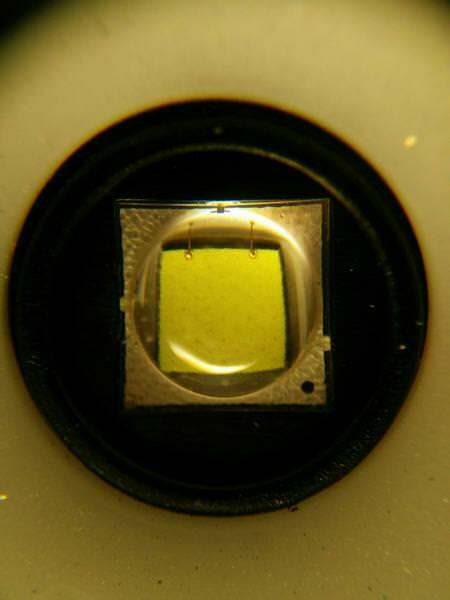 Constituted by the bezel, lens, o-ring and the “head”. 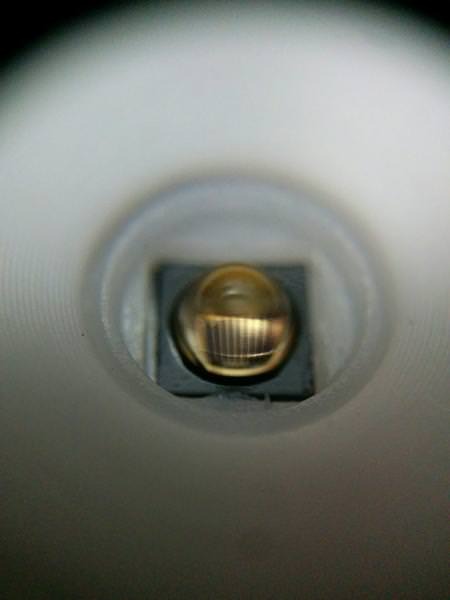 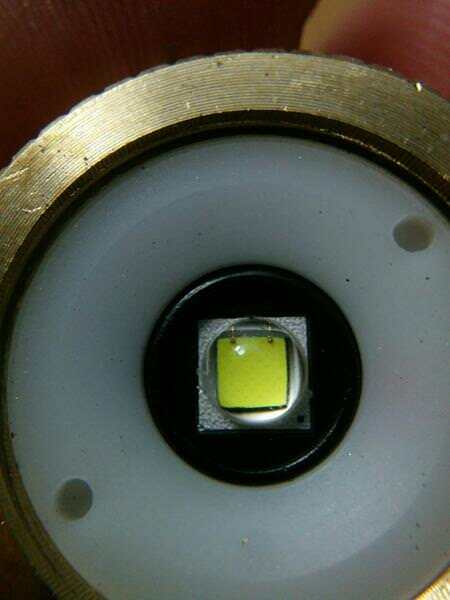 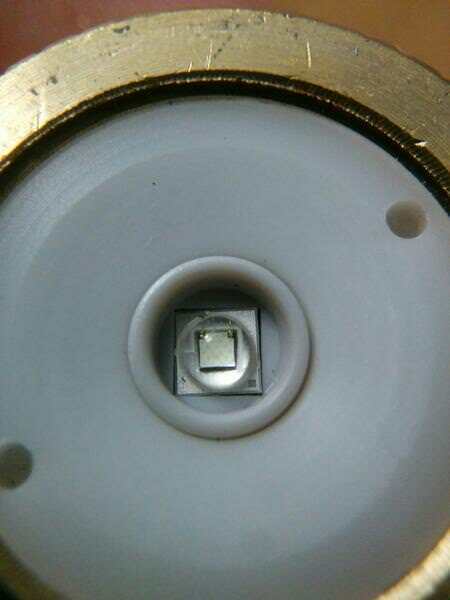 It is (un)screwed to replace the LED modules. 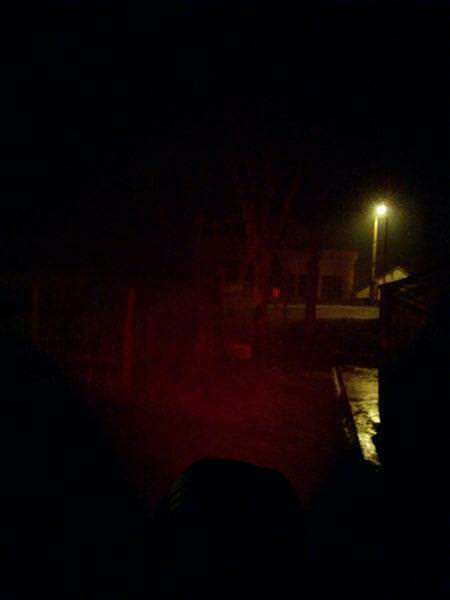 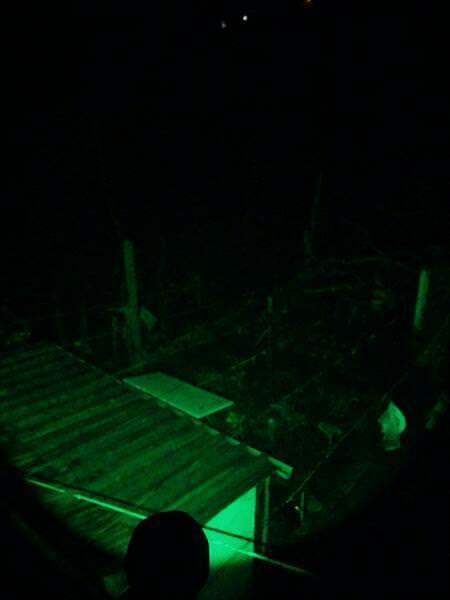 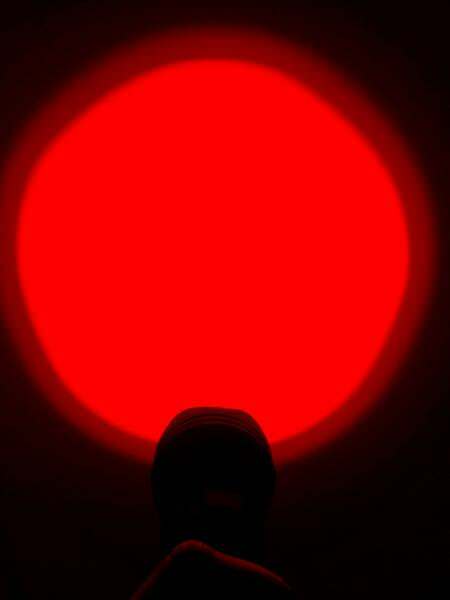 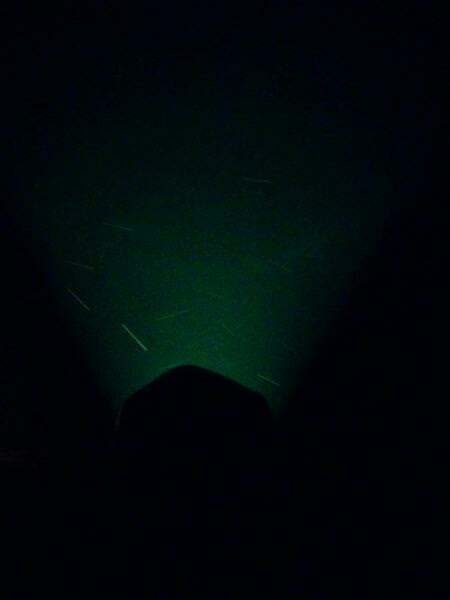 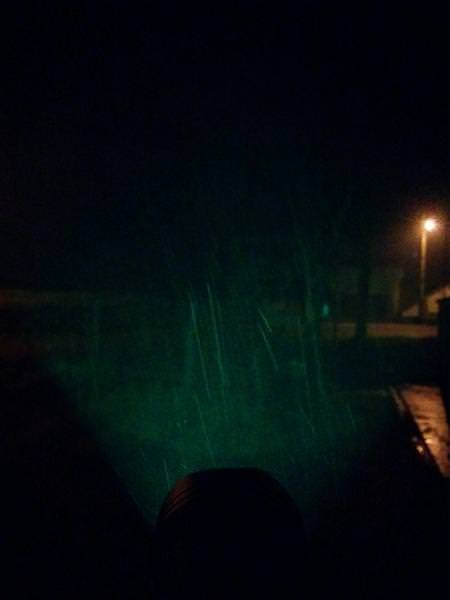 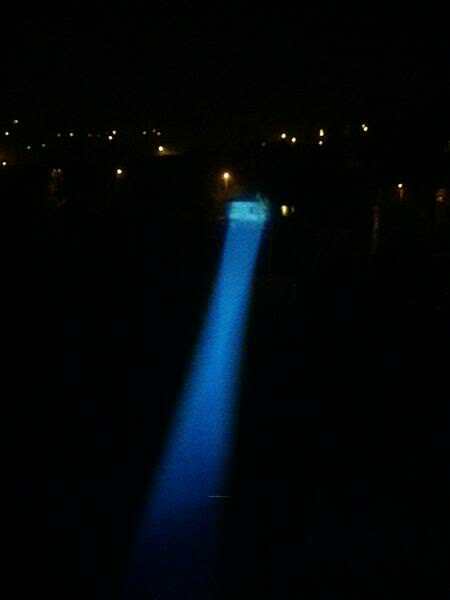 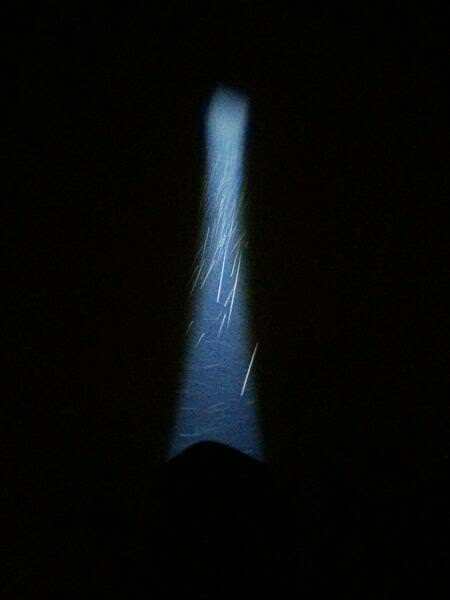 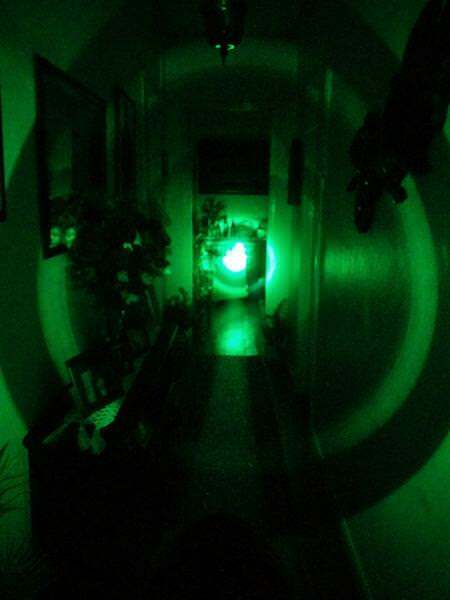 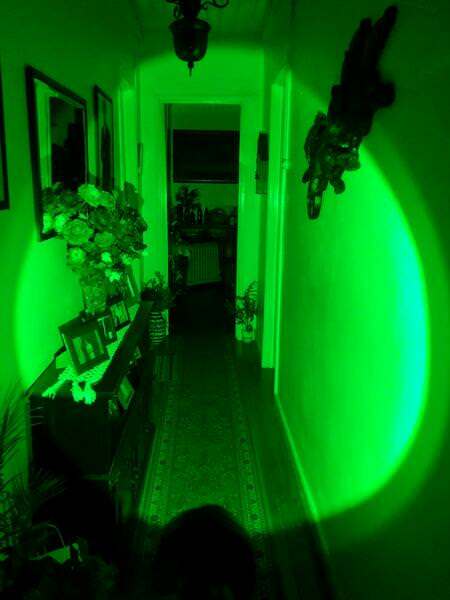 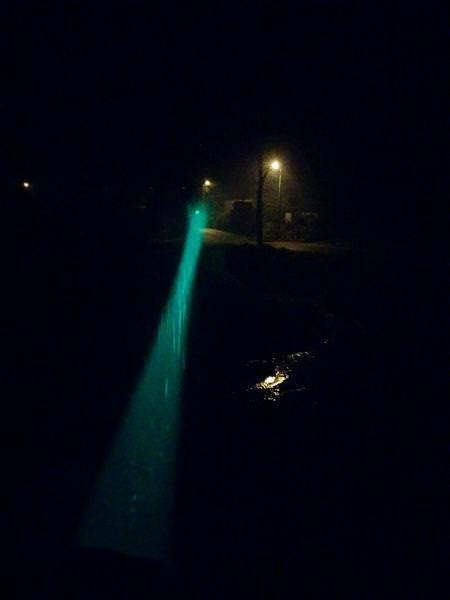 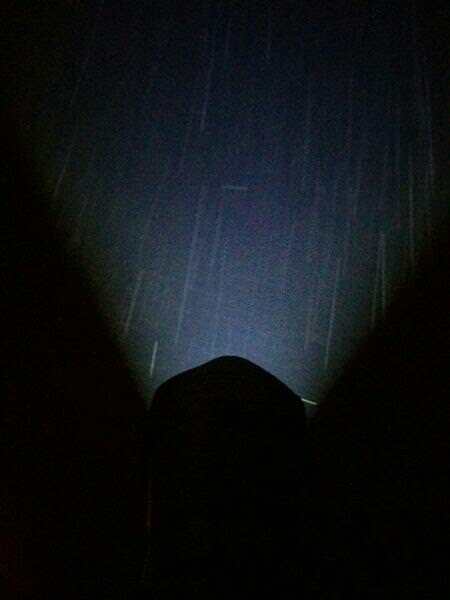 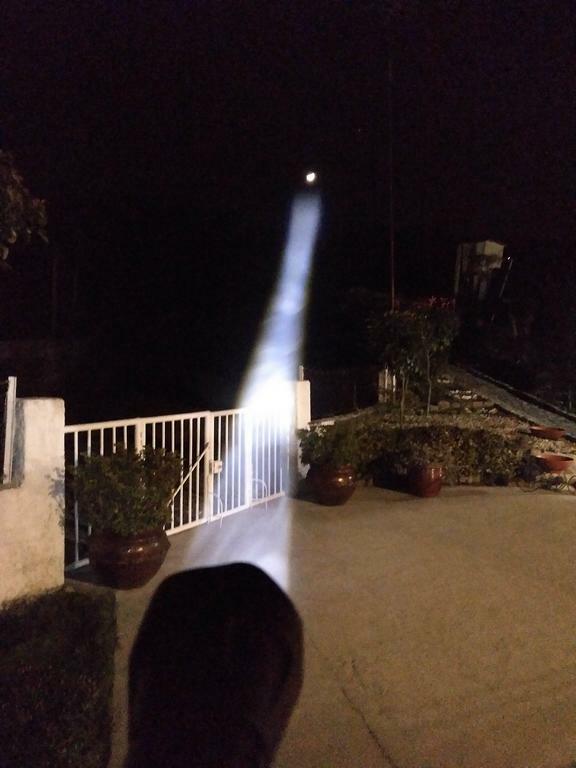 The flashlight can be used without the head/lens, having a complete floody light. 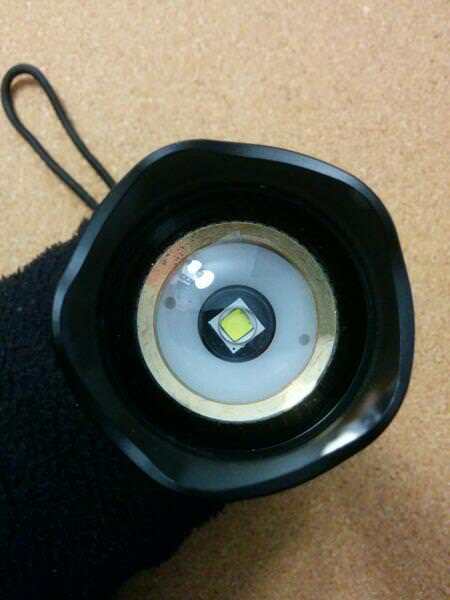 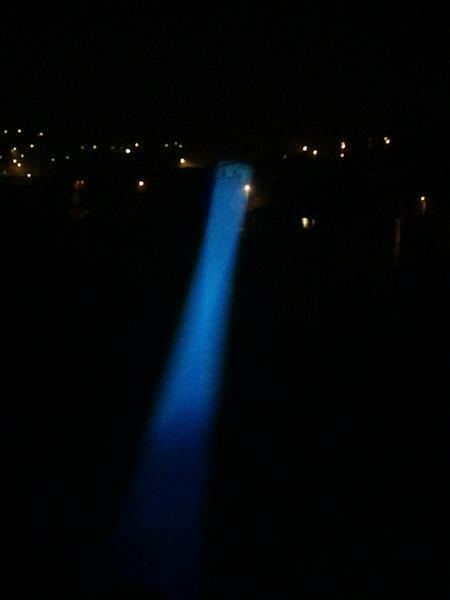 However the LEDs will be more exposed to any kind of damage (water, shock…). 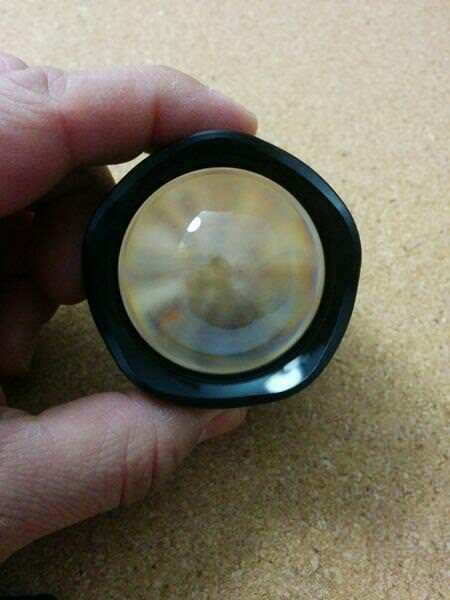 Seems a pretty good lens, supposedly anti-scratch, but I didn’t try to scratch it to test. 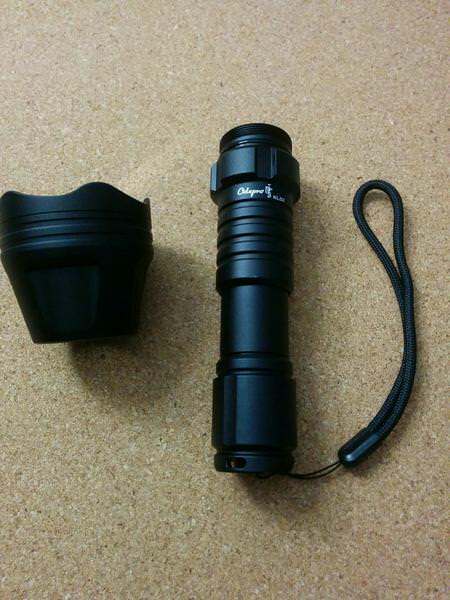 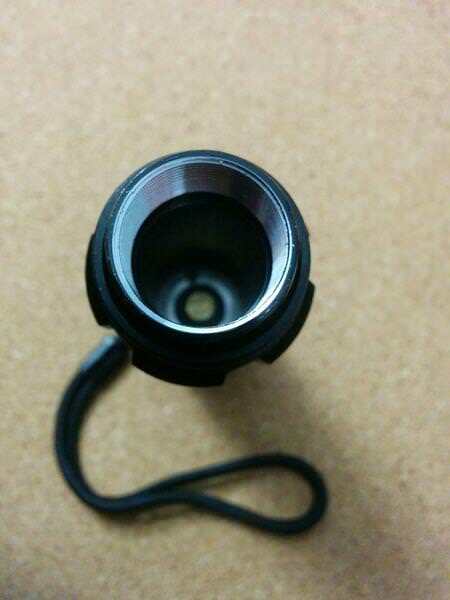 Above it has the bezel, and below it has an o-ring an the rest of the flashlight head. 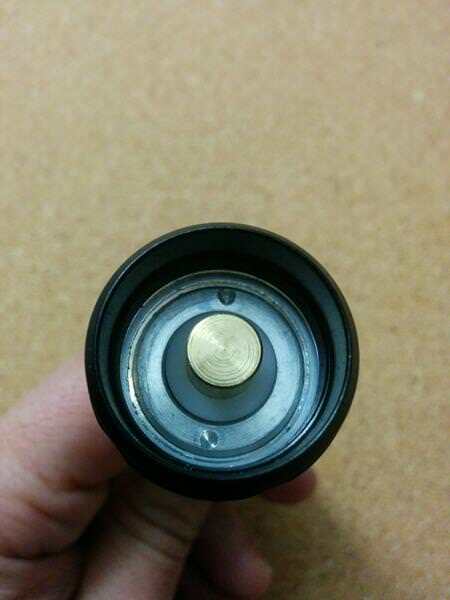 There is no spring on the tailcap. 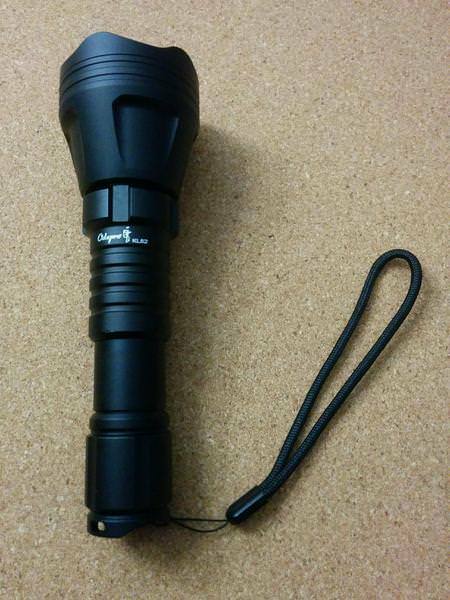 I didn’t disassemble it to check what’s inside, apart from the forward switch that operates the flashlight. 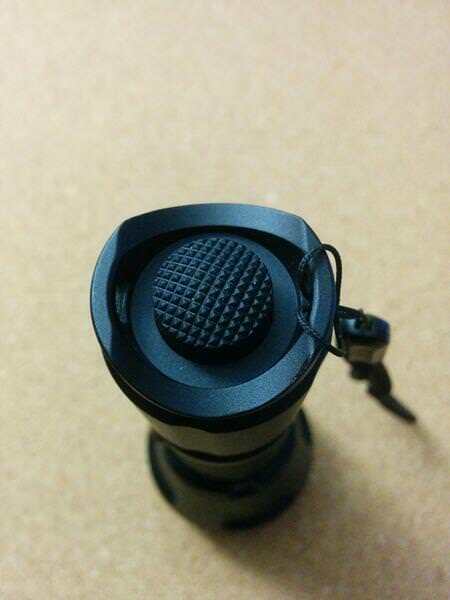 The tailcap can be easily unscrewed to replace the battery or to use the remote switch as well. 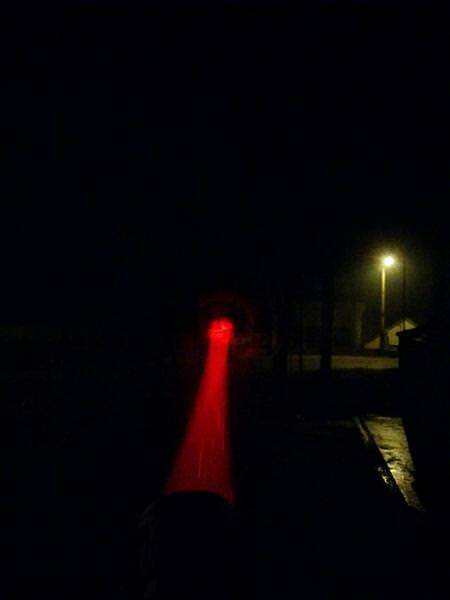 - A detachable (but motionless) tactical ring (“cigar” ring) to use in the tail would help to hold the flashlight when zooming in/out. 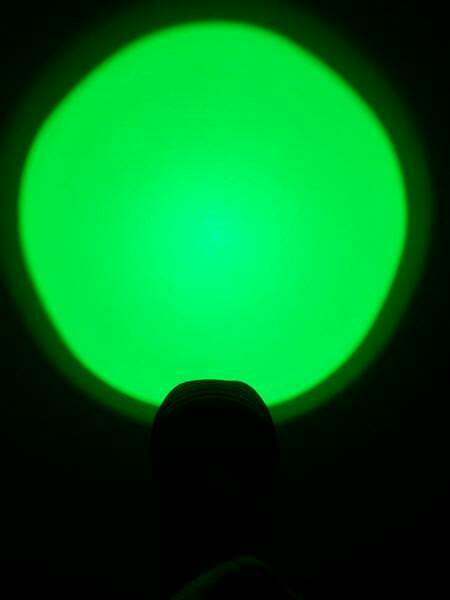 - A different User Interface with the “White” light would be better in my opinion. 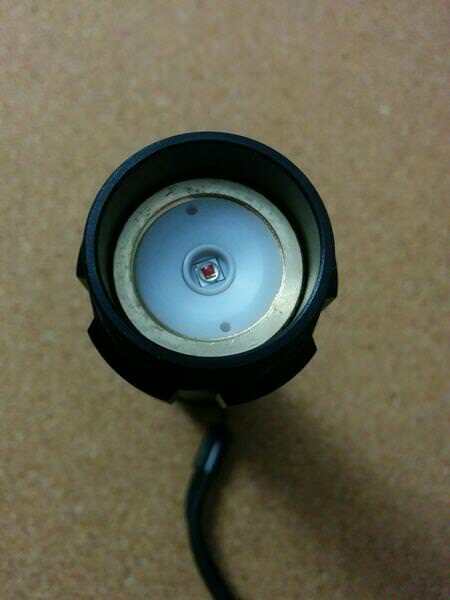 Hidden strobe and SOS would be my choice, leaving juts the regular modes (Low-Medium-High). 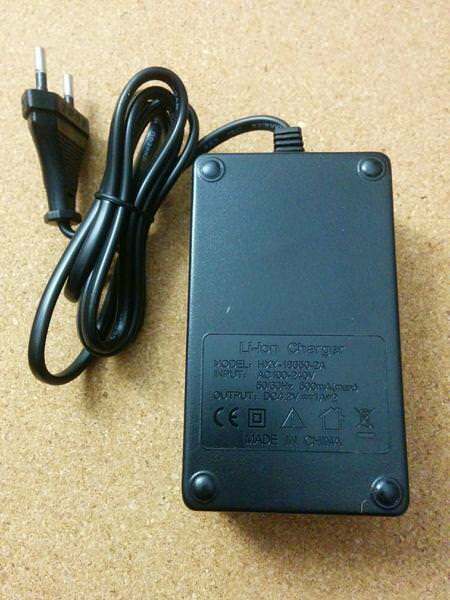 Or, instead, the possibility to have a driver that would allow to chose the interface. 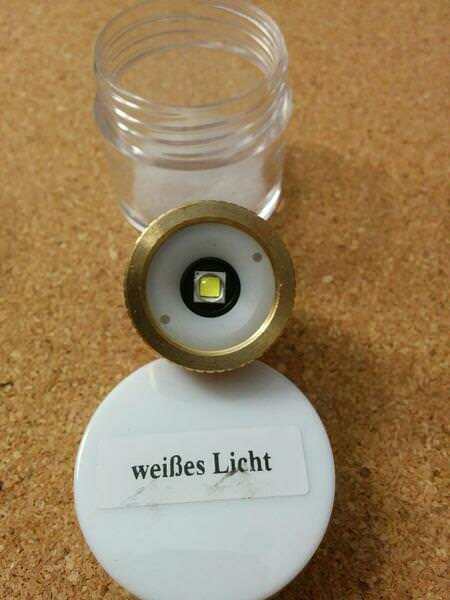 I will probably change the driver on the “White light”, to make it more suitable for my use. 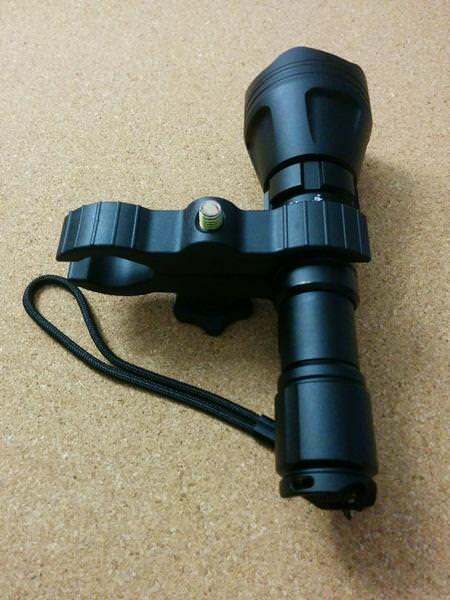 The overall flashlight is quite good in my opinion and it deserves a better UI. 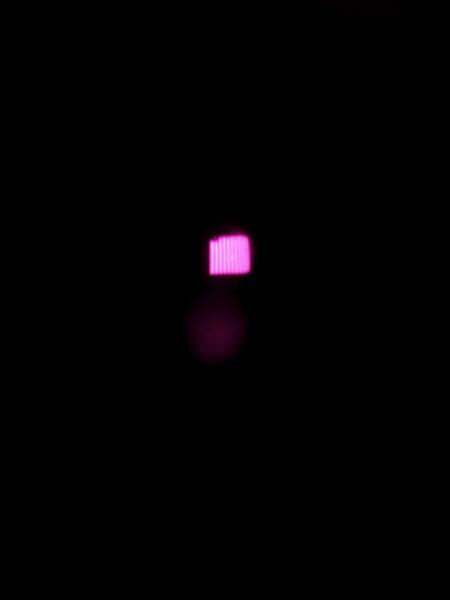 I don’t know if I will change the emitter as this one is working well. 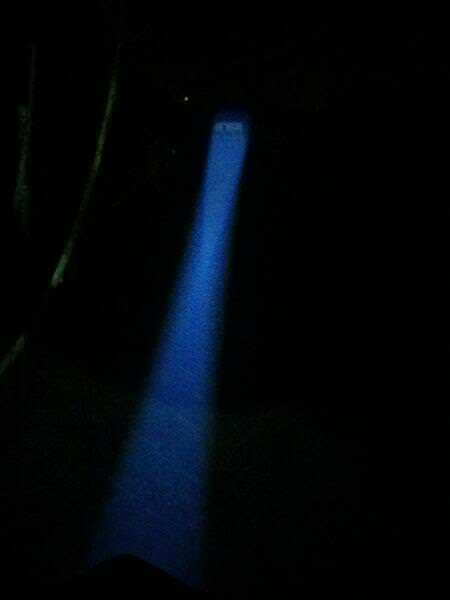 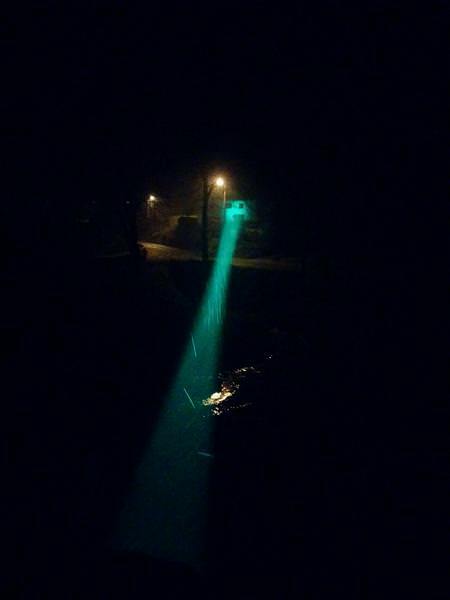 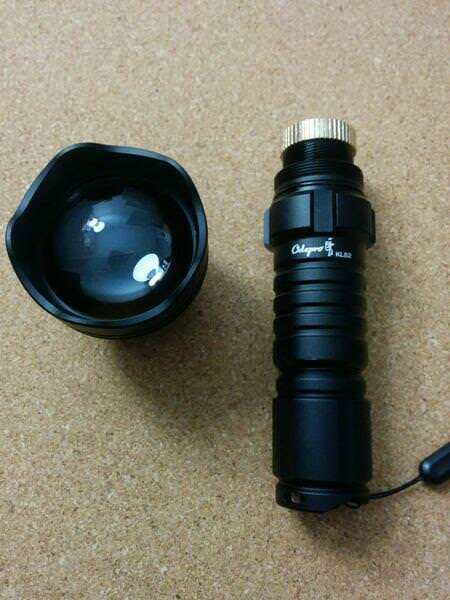 I want to thank ODEPRO OUTDOORS for sending me the flashlight. 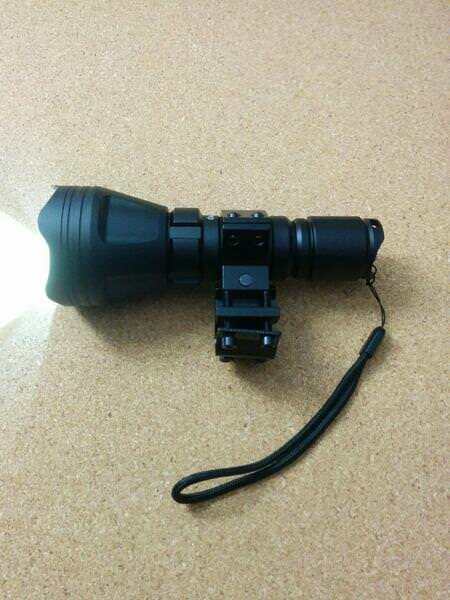 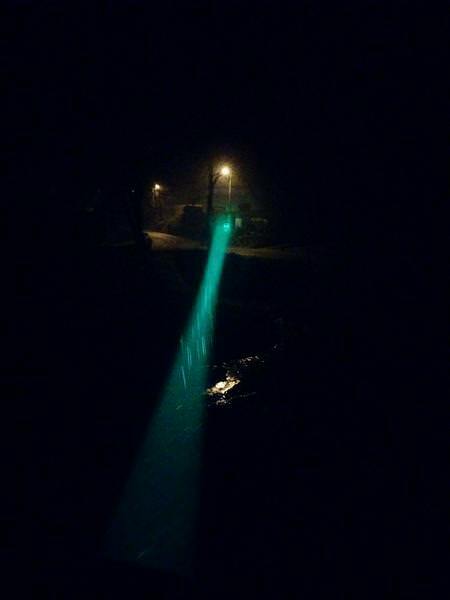 Even if I am not a hunter, I do recommend this flashlight for those purposes. 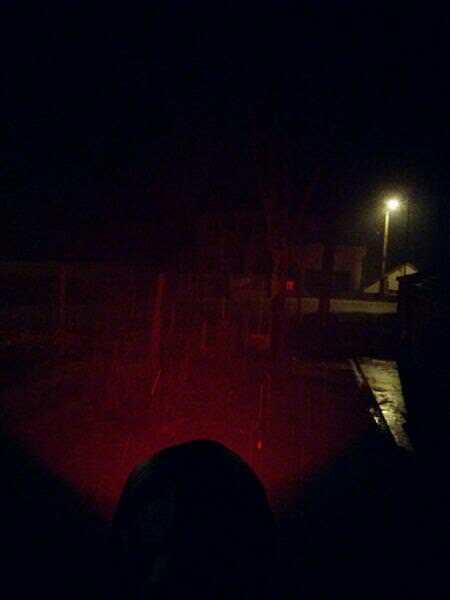 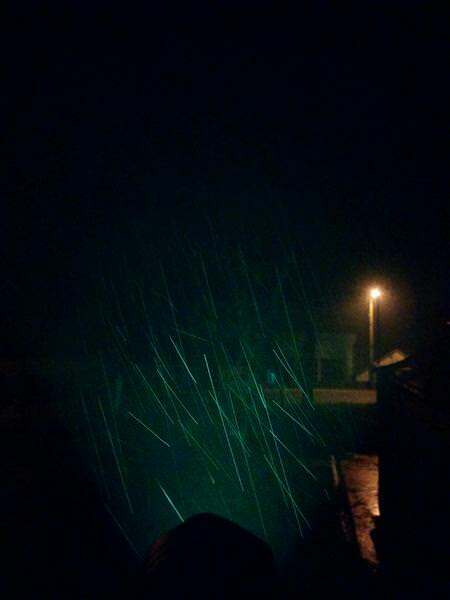 The Night when I took these photos was rainy and foggy, so the photos will not be at their best. 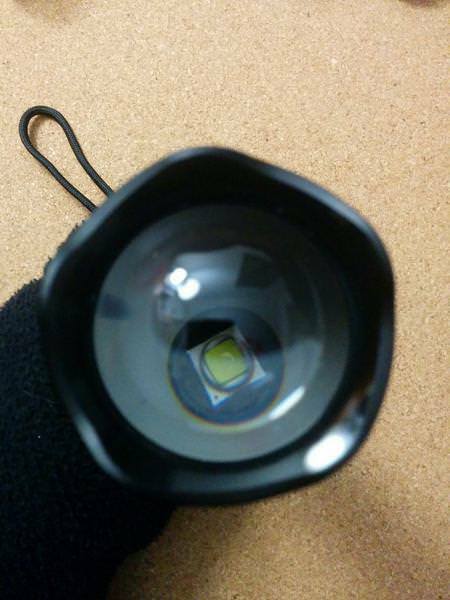 Non visible PWM on human eye nor in photos, unless if really above the LED. 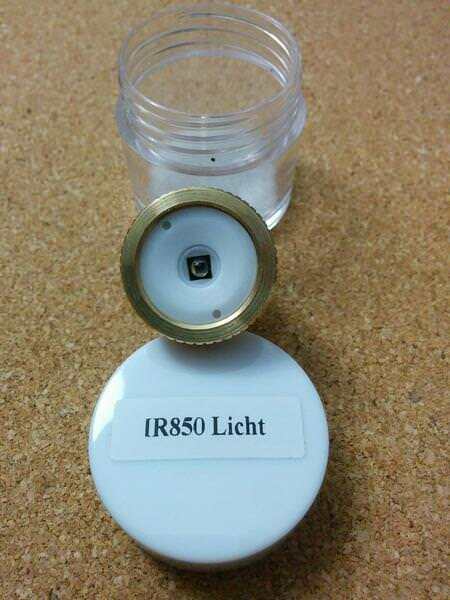 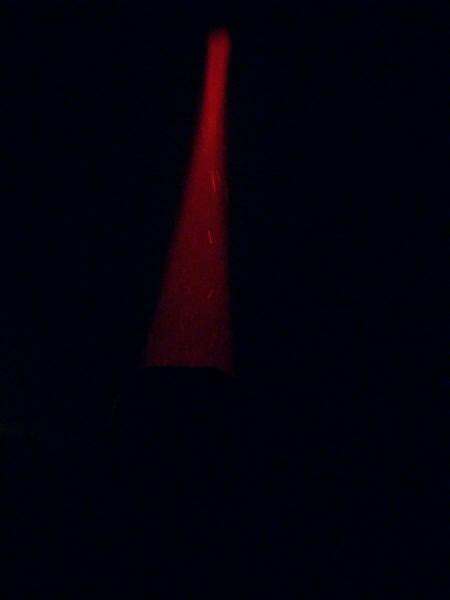 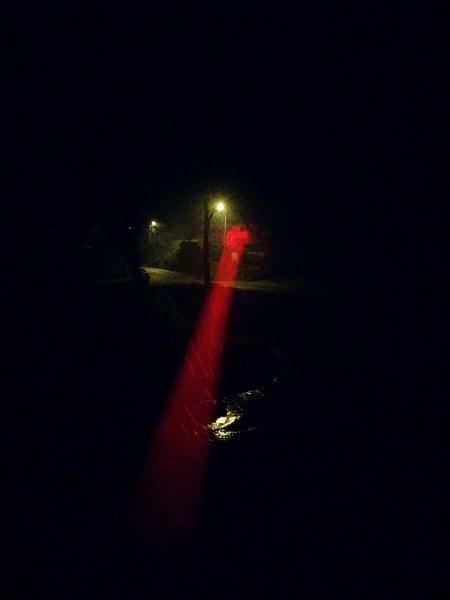 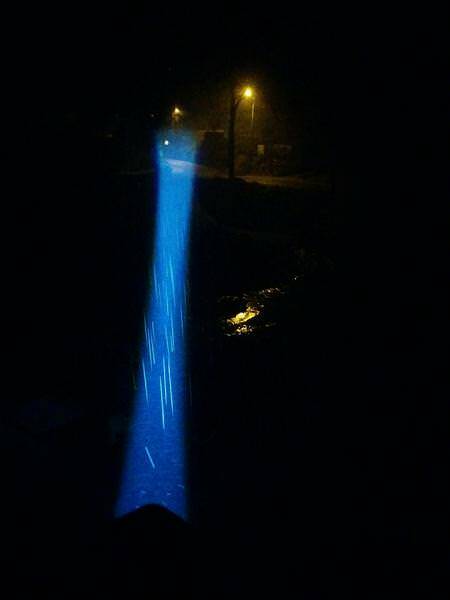 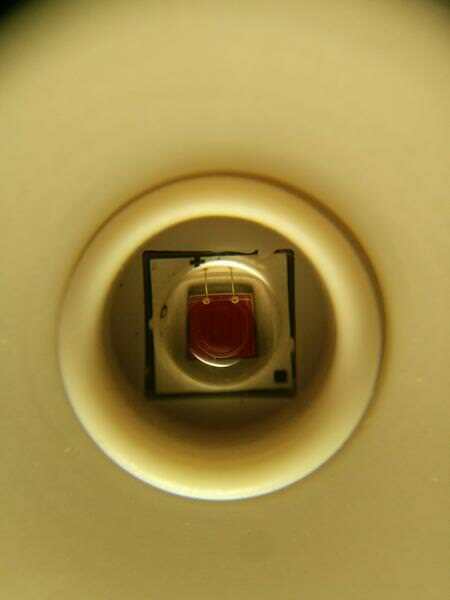 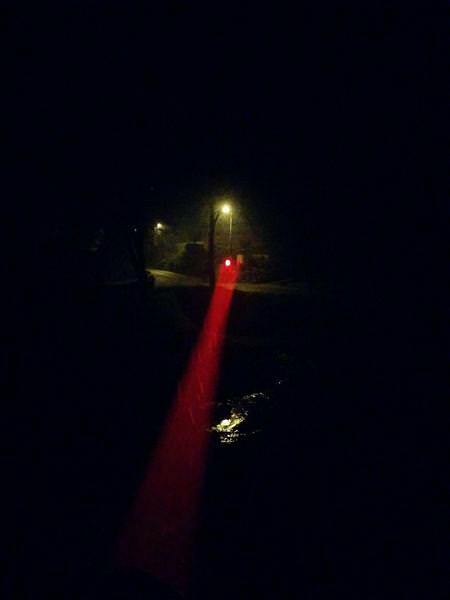 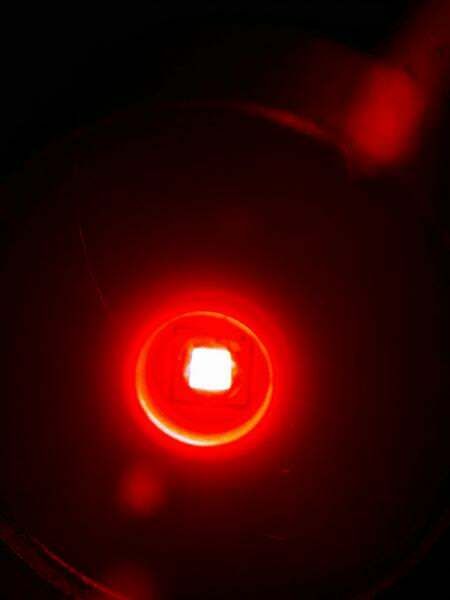 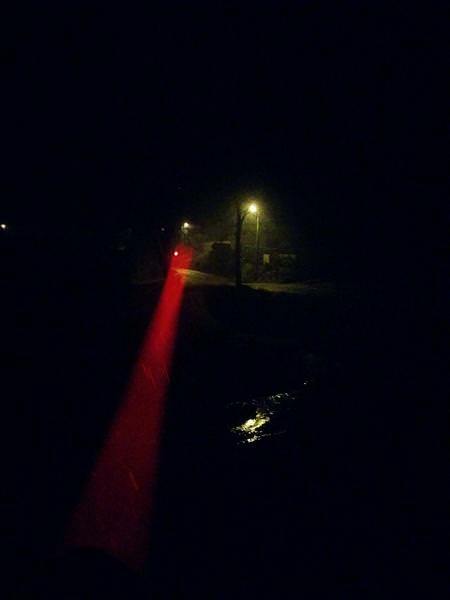 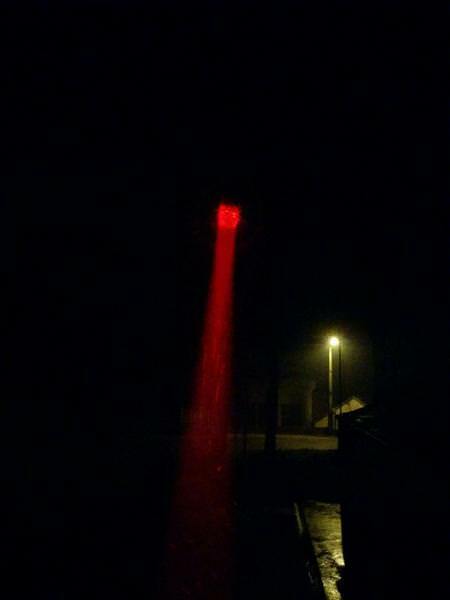 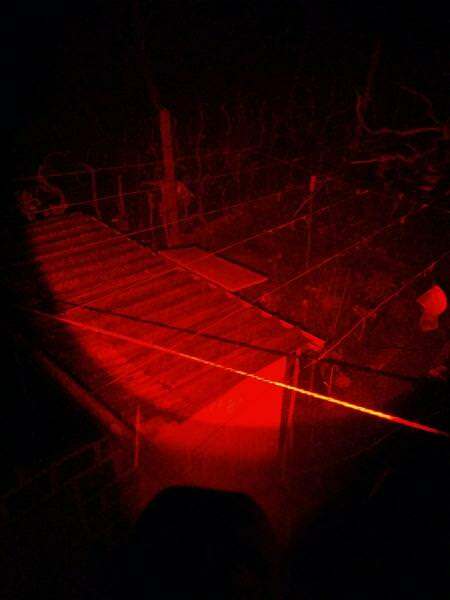 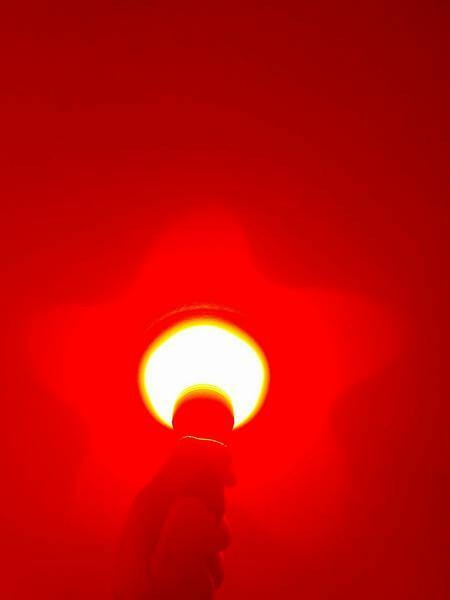 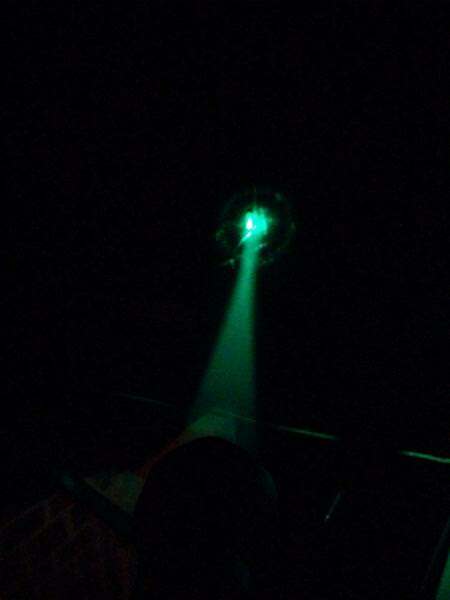 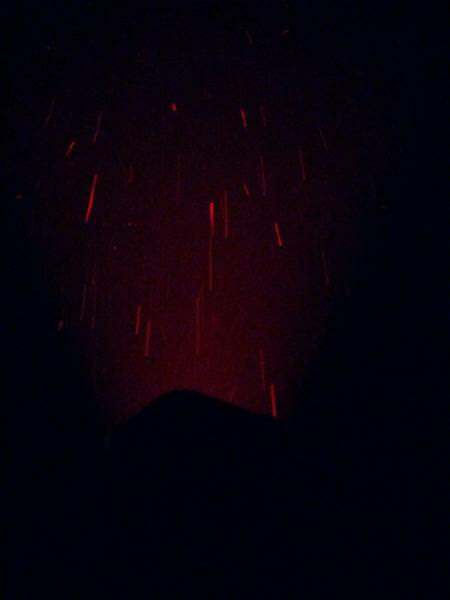 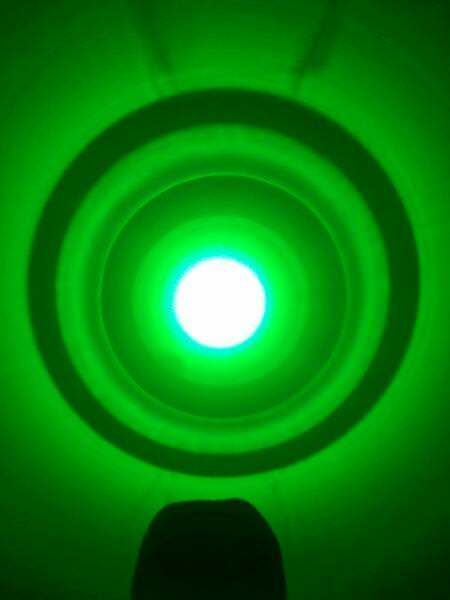 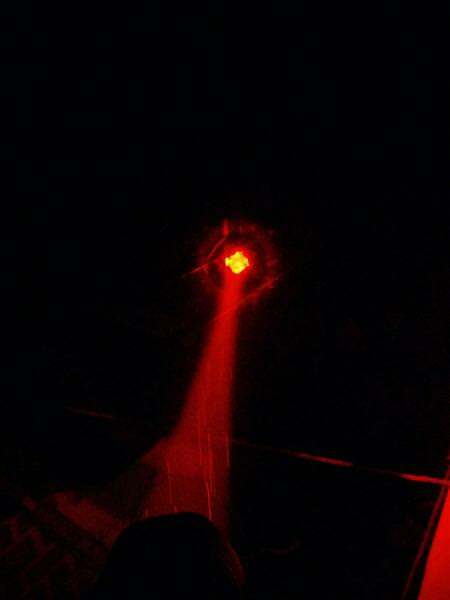 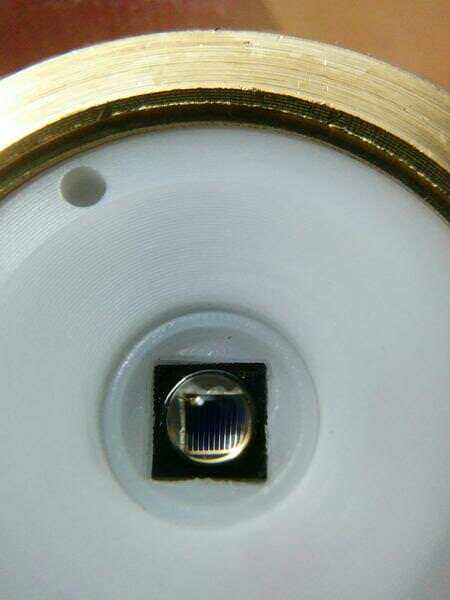 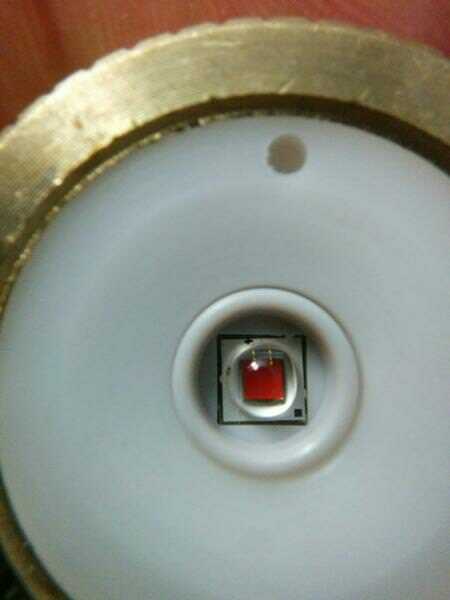 Infrared light, 850nm. 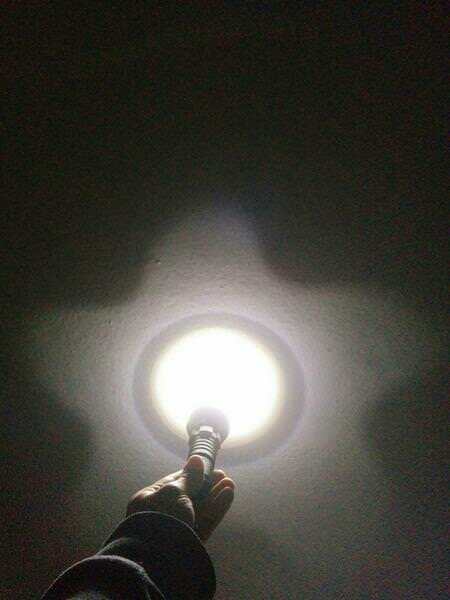 I was only able to “capture” these photos, as I assume I should have a special camera to capture this light in all it’s power! 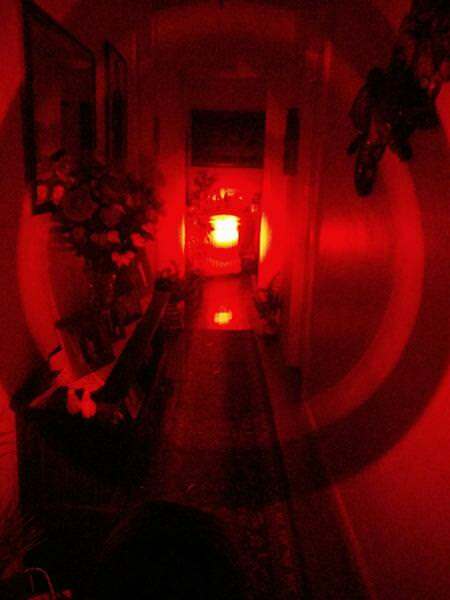 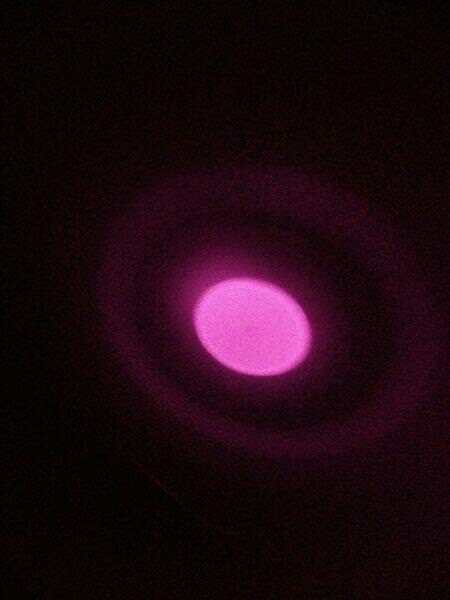 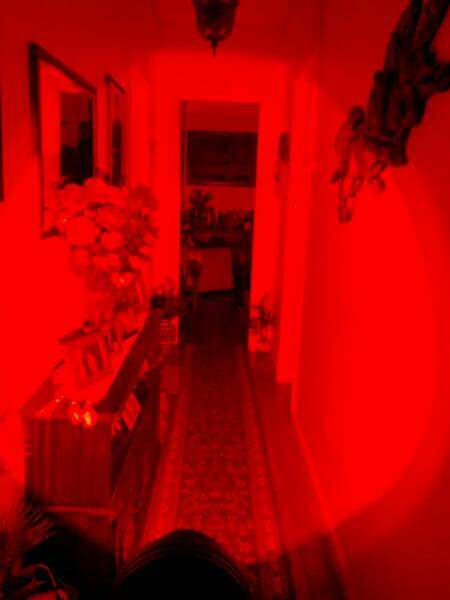 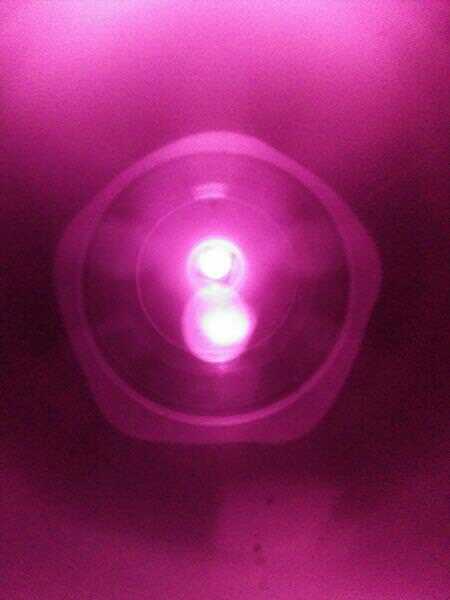 The look on the photos is lilac/purple, but to the human eye, the emitter produces a dim red light. 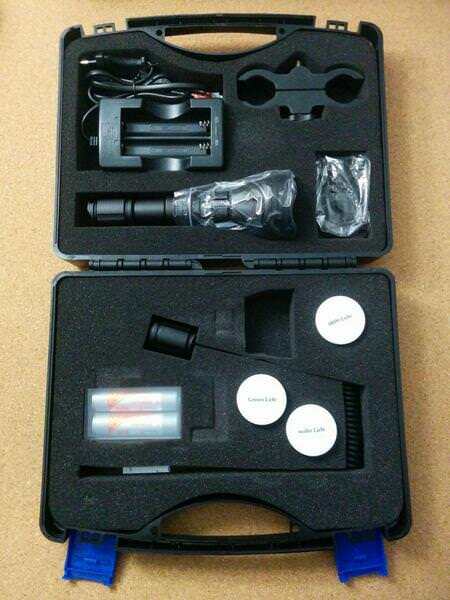 I didn’t have the opportunity to check how it works with animals.